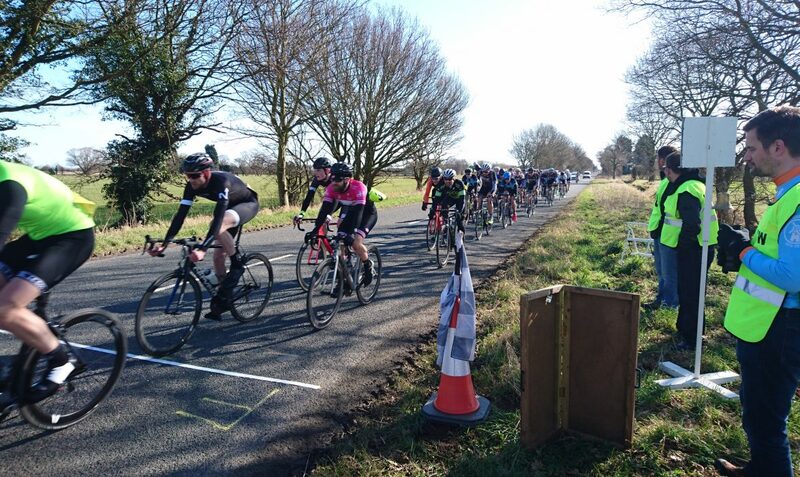 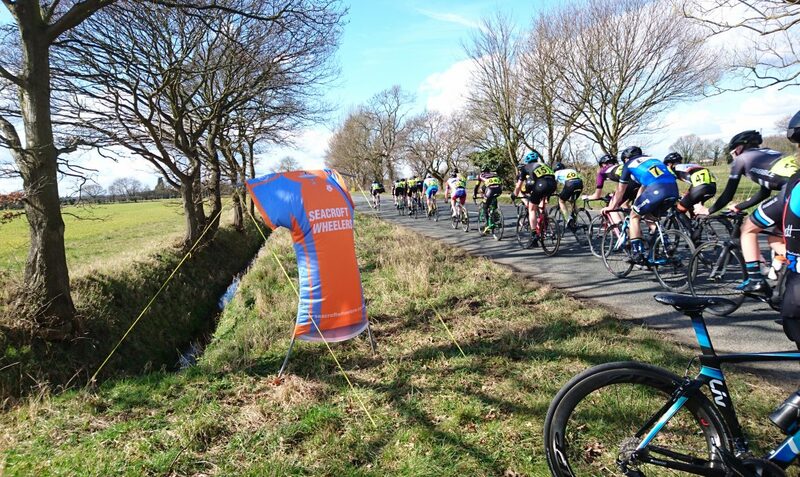 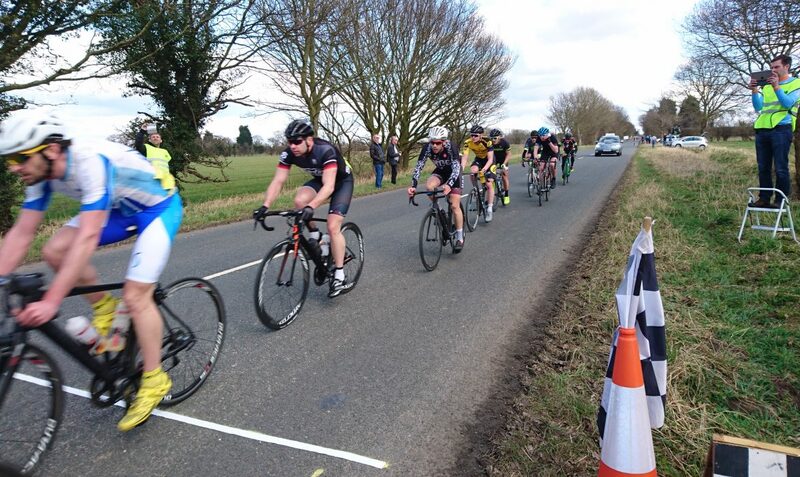 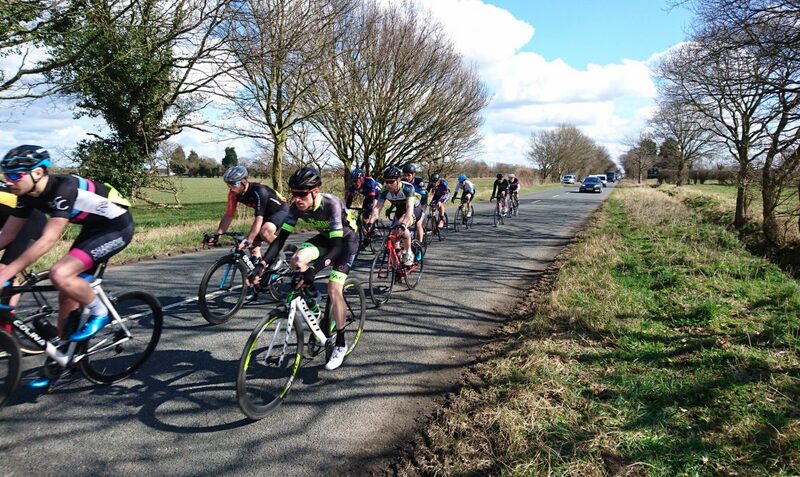 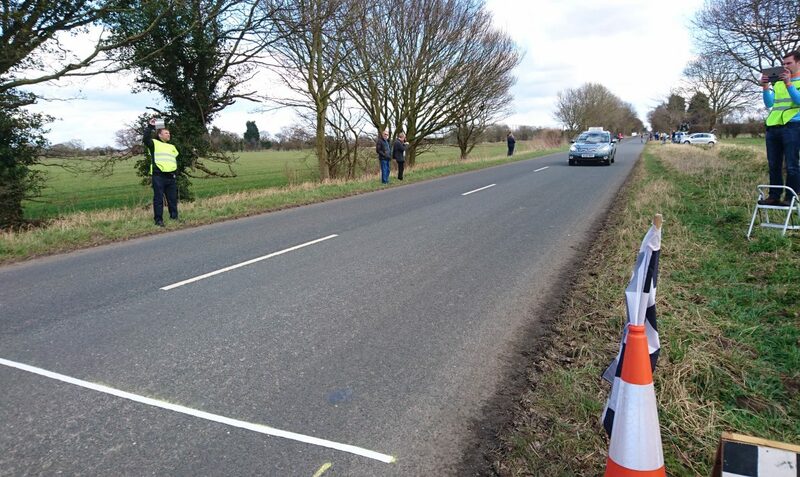 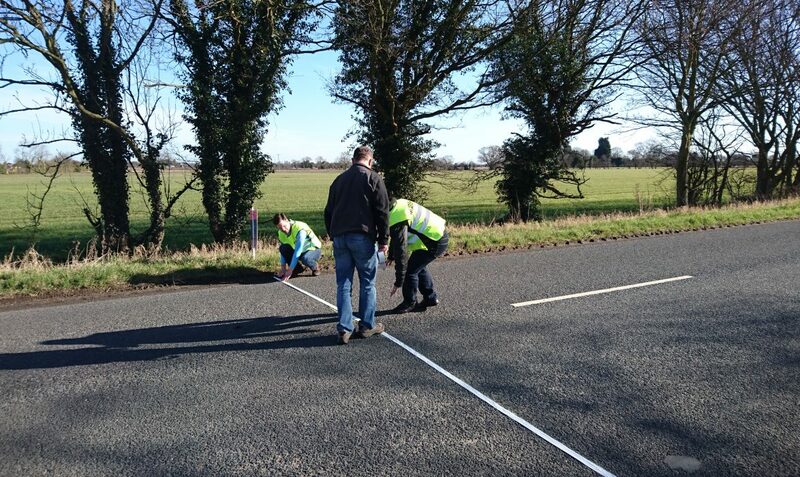 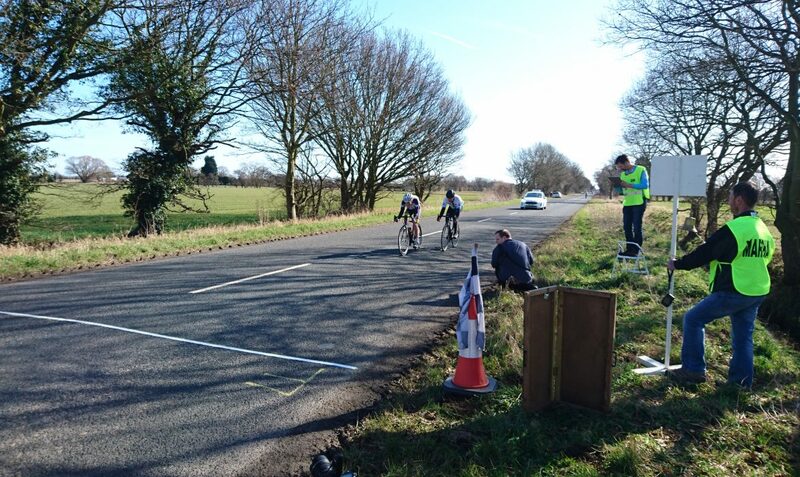 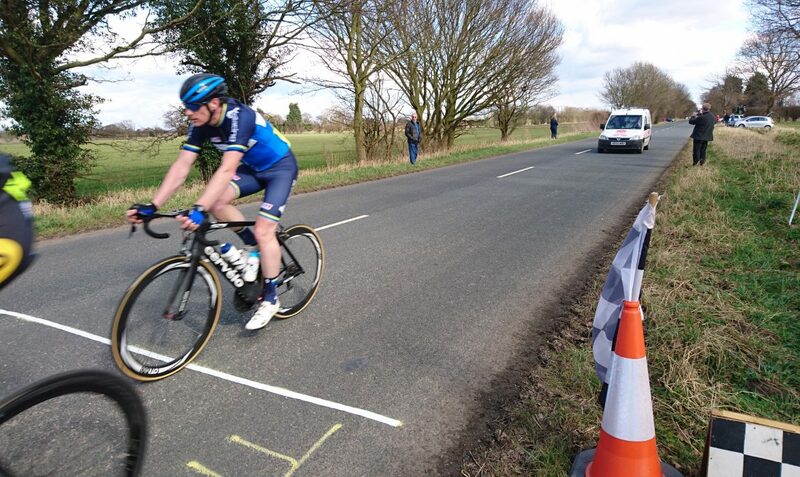 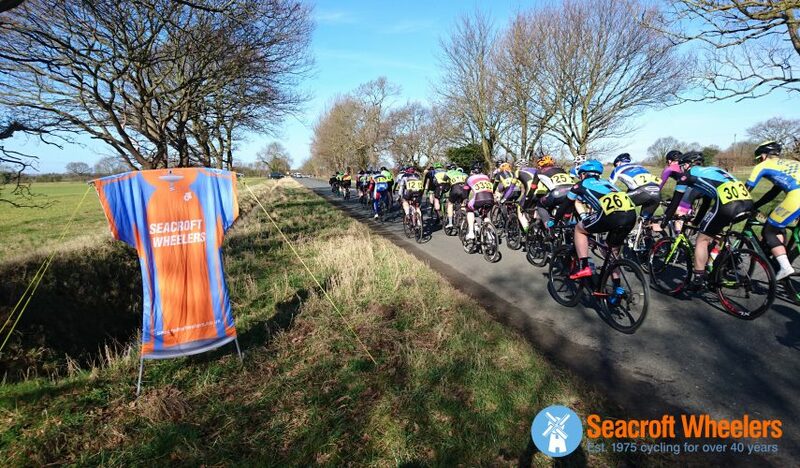 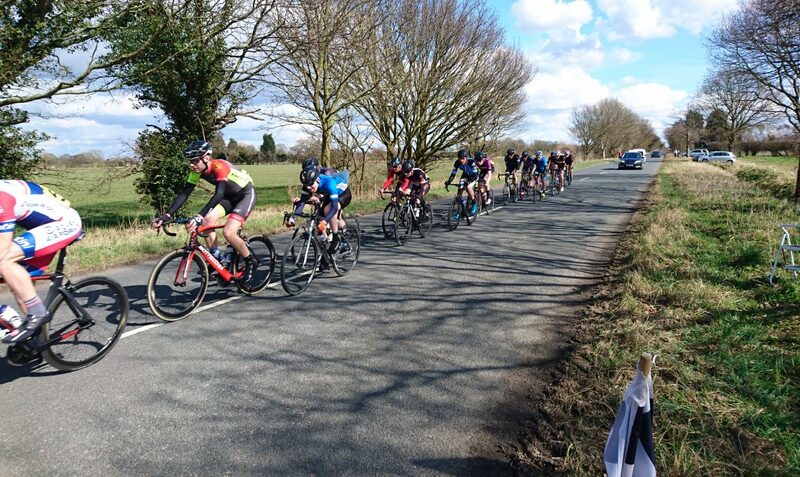 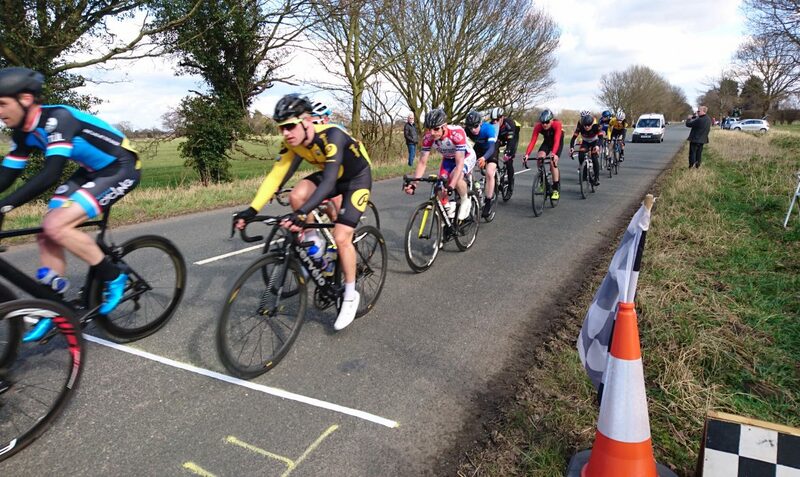 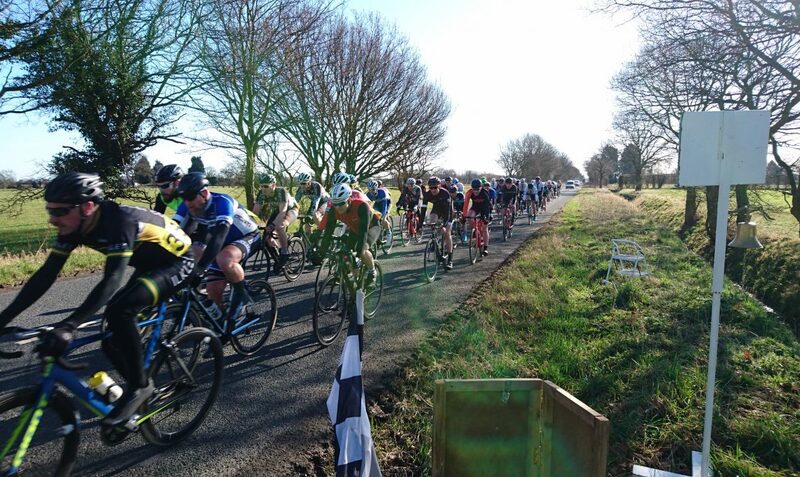 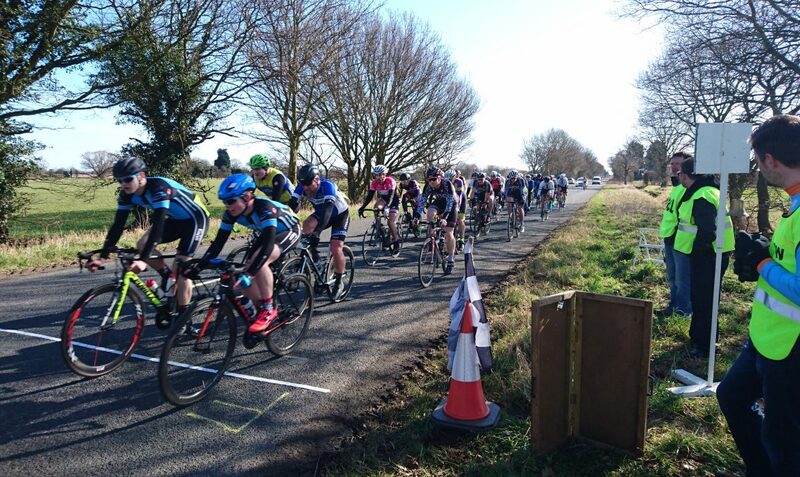 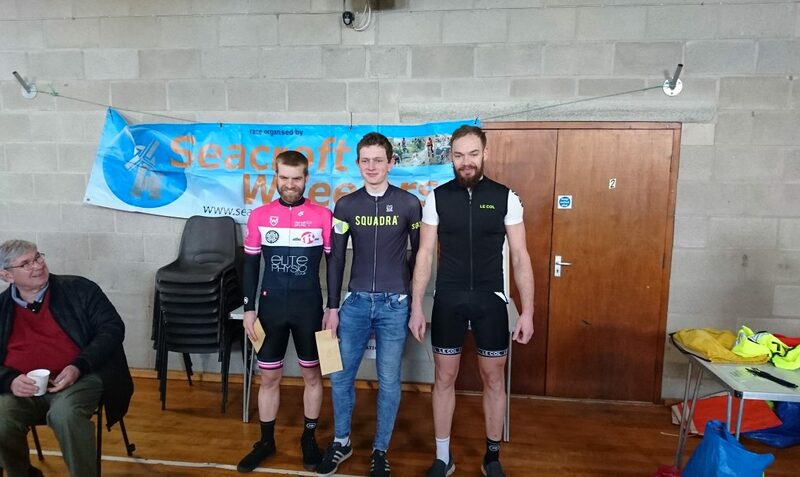 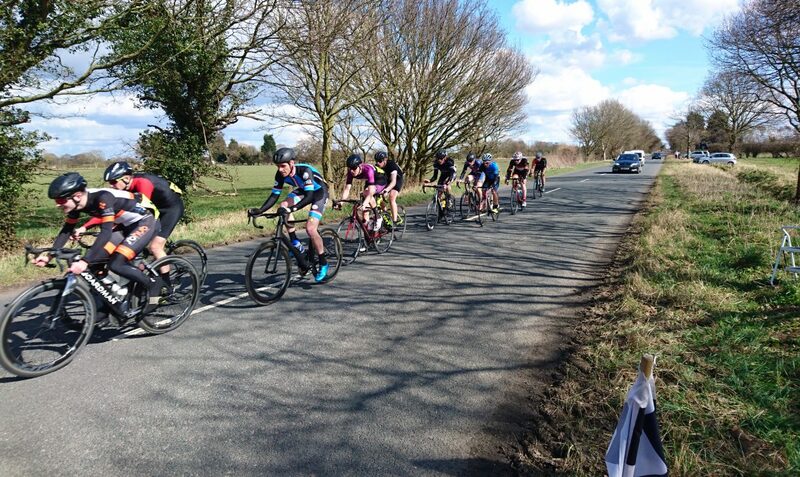 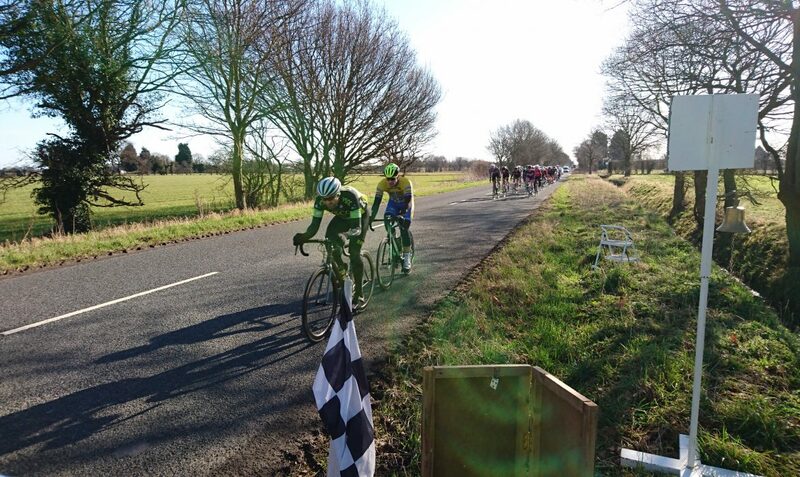 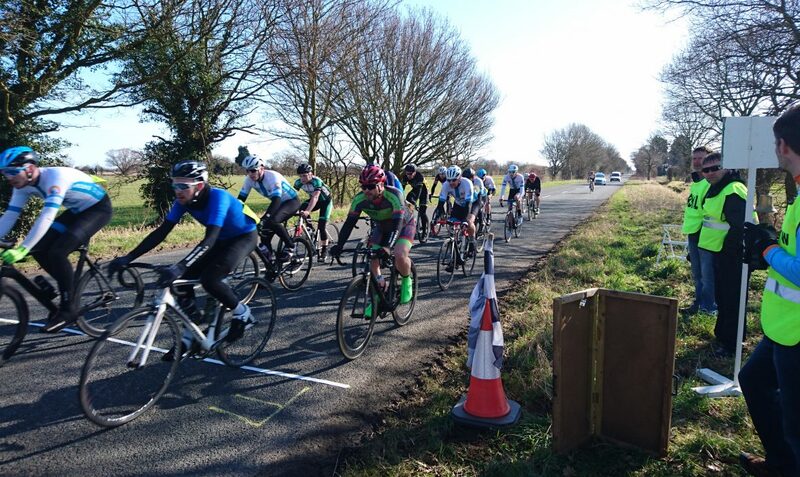 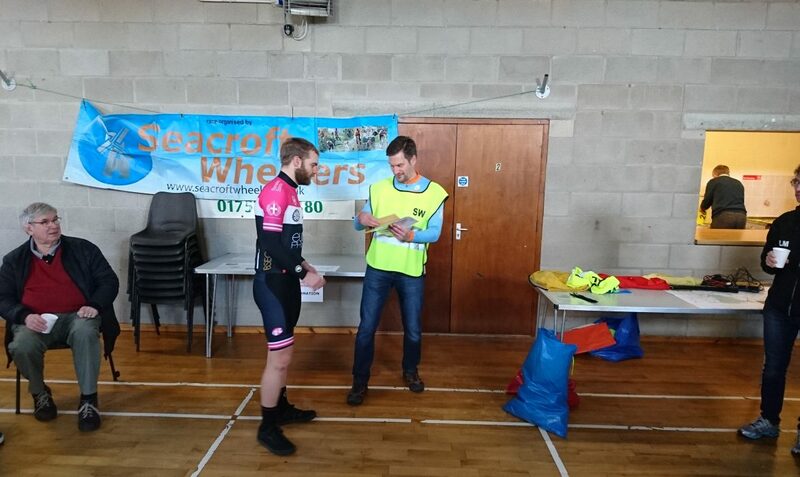 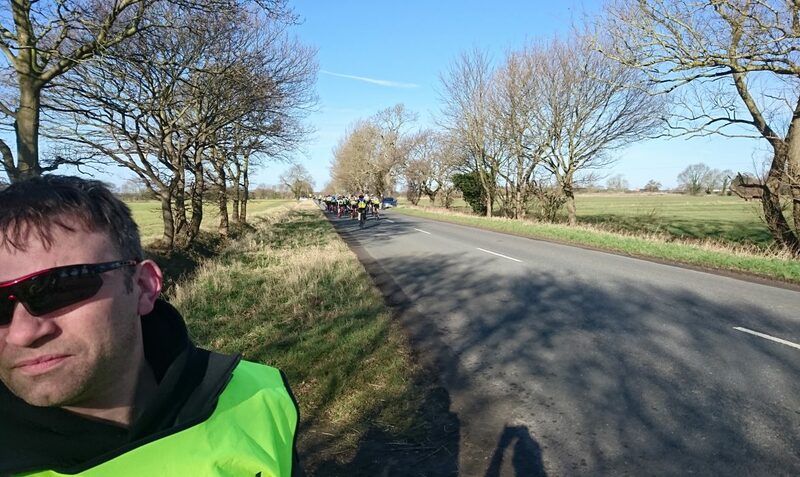 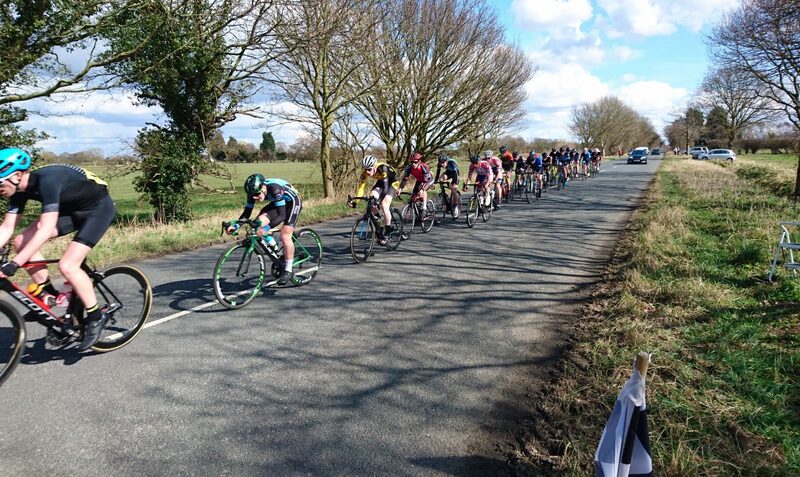 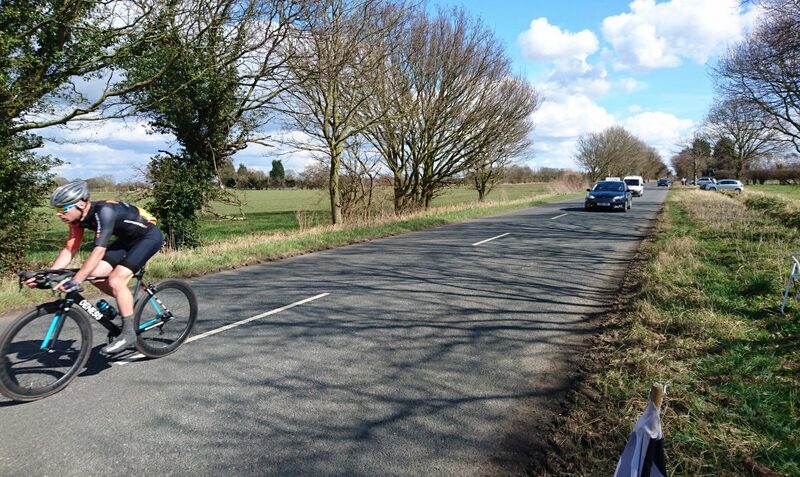 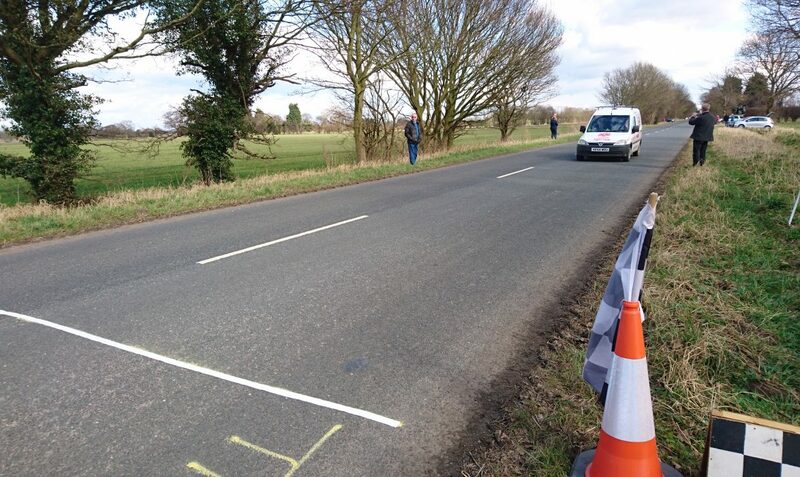 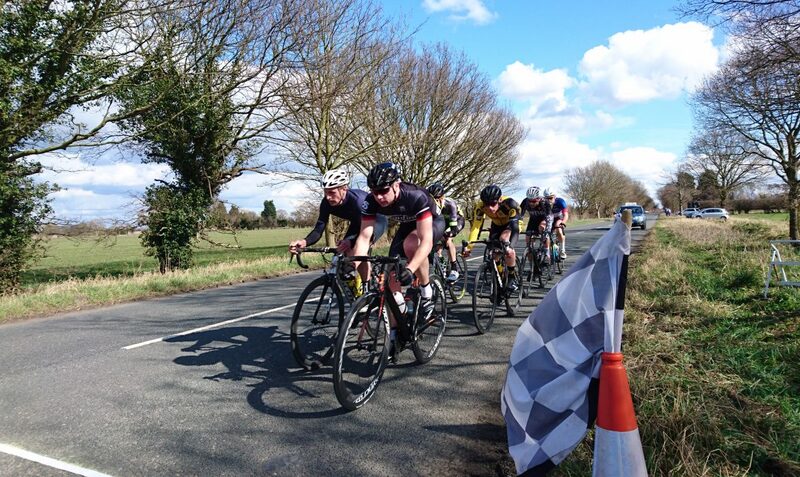 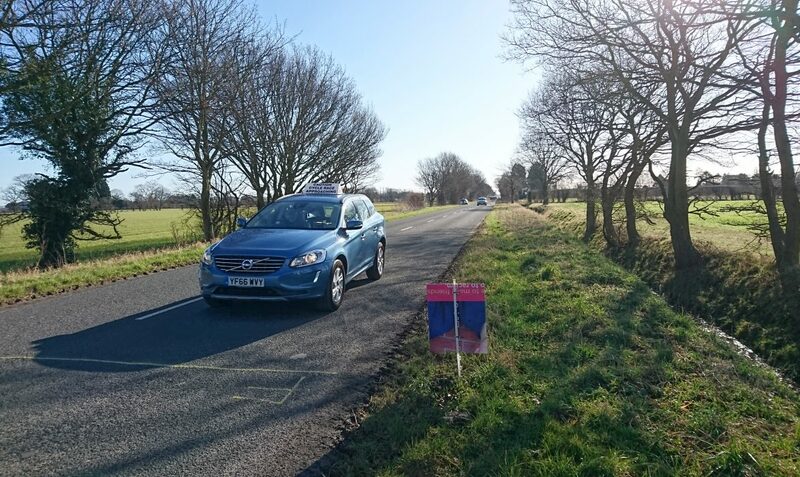 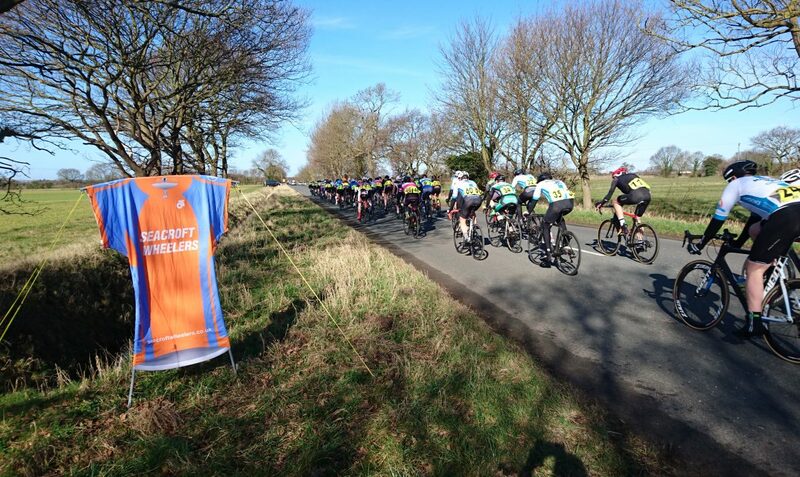 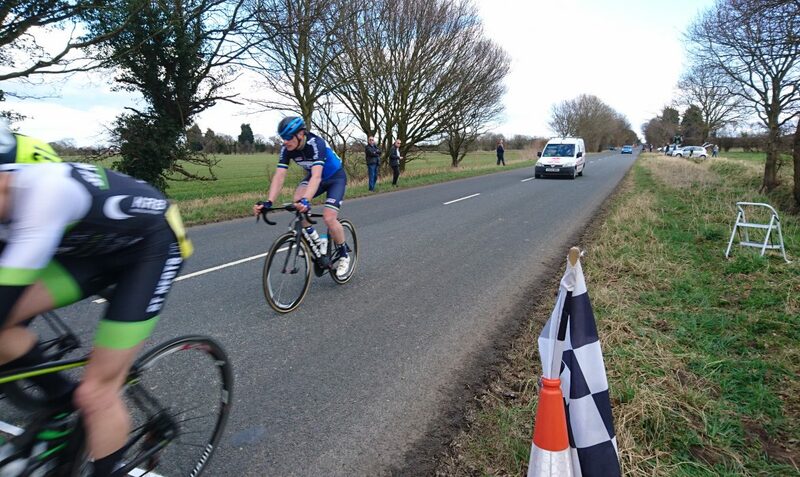 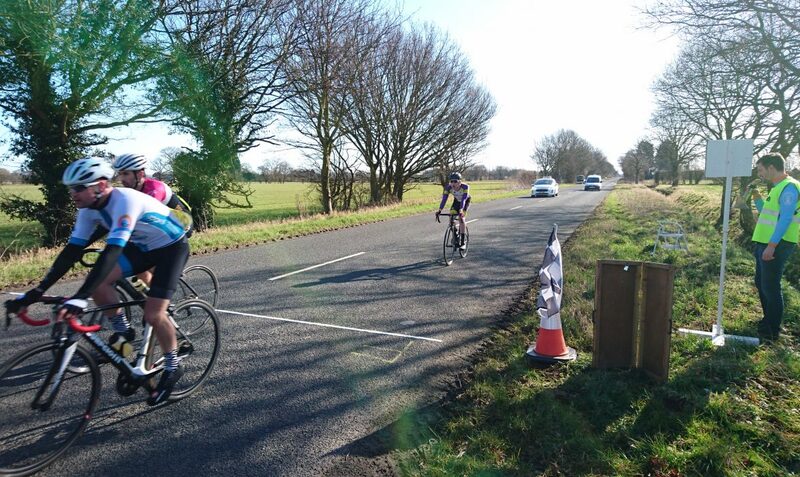 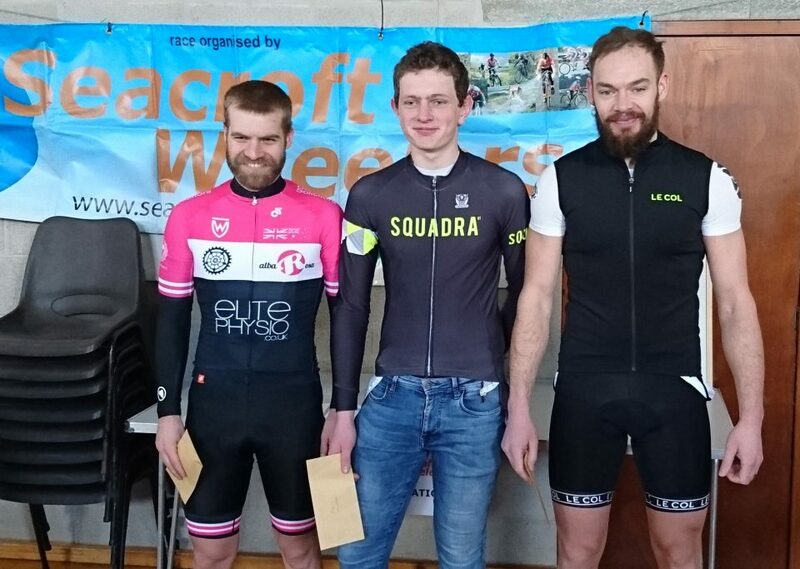 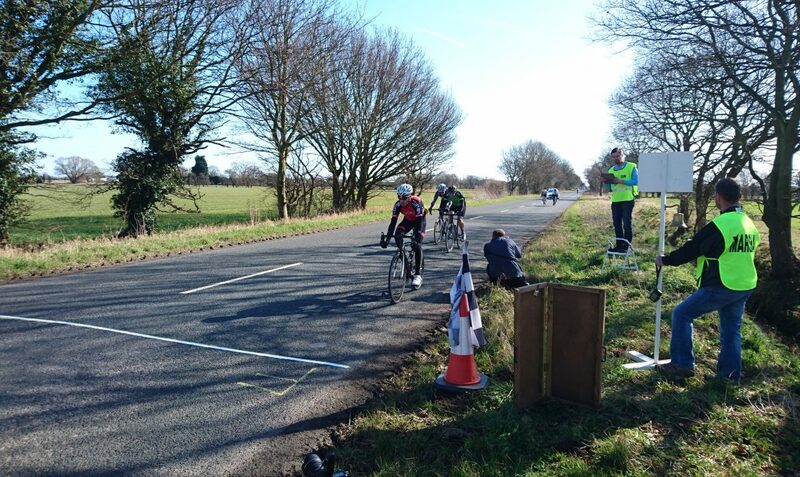 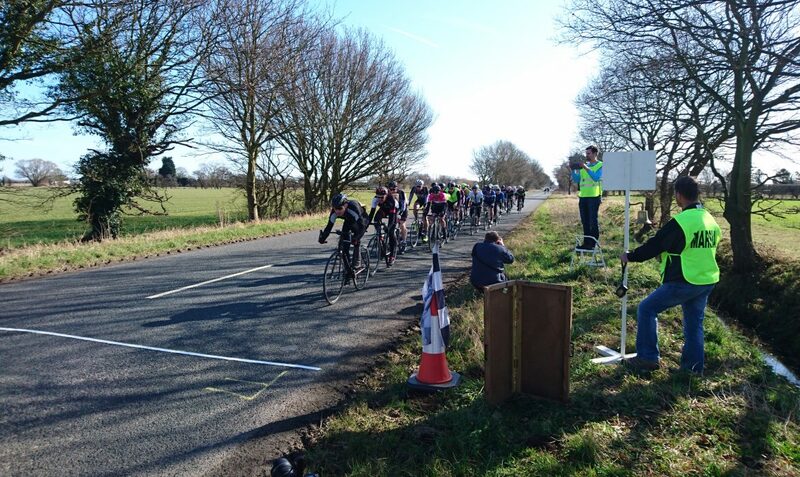 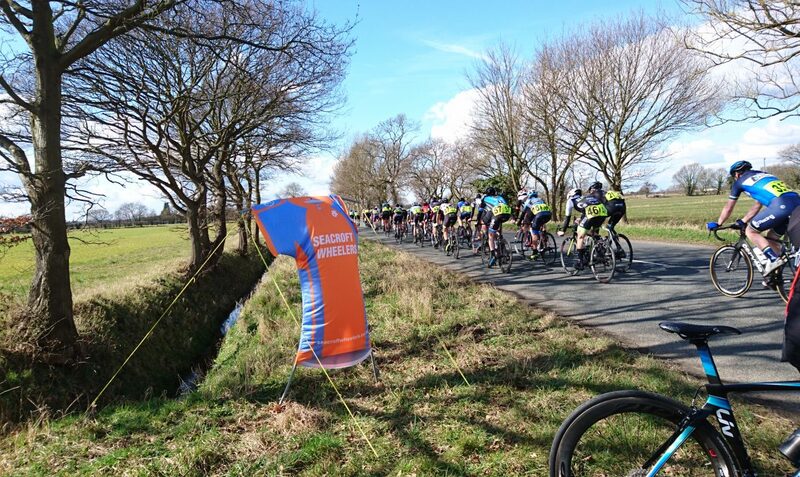 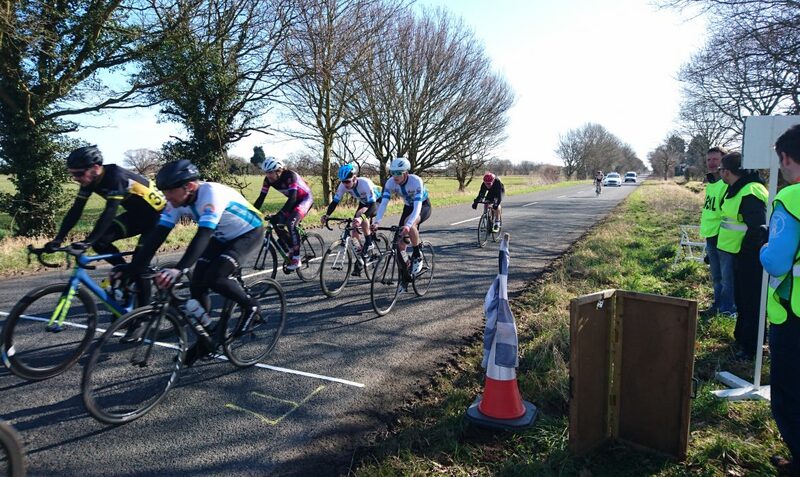 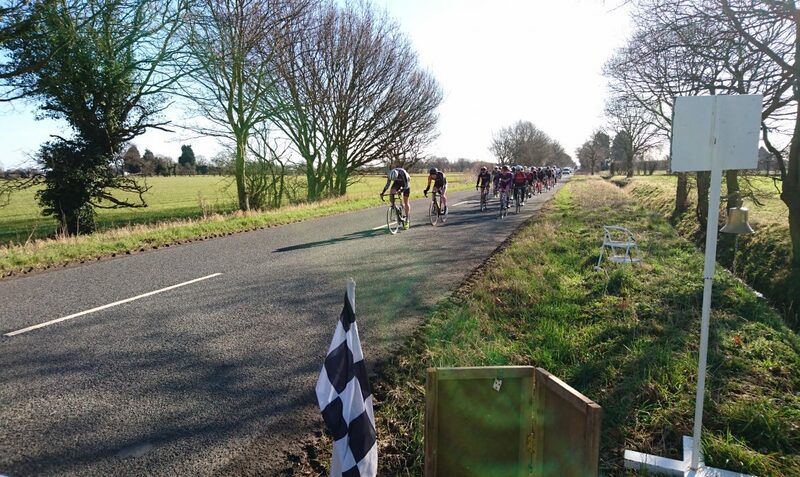 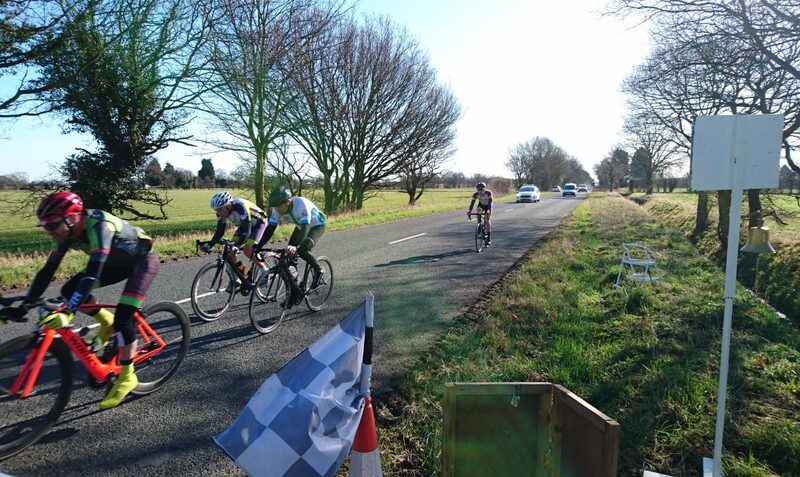 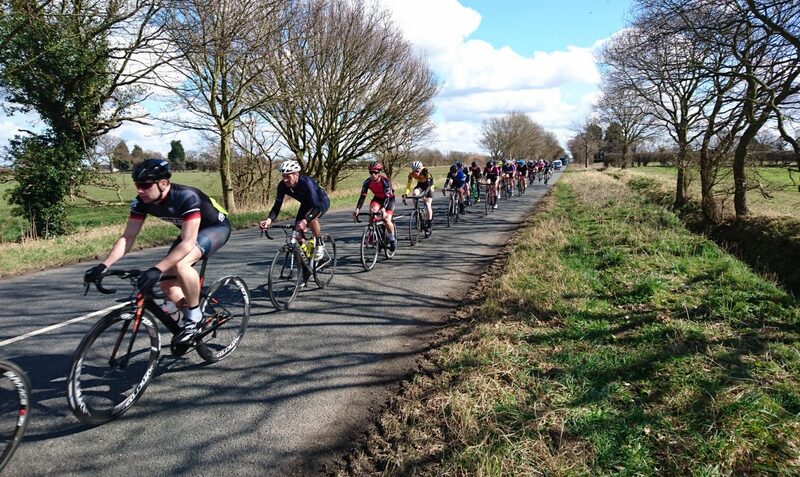 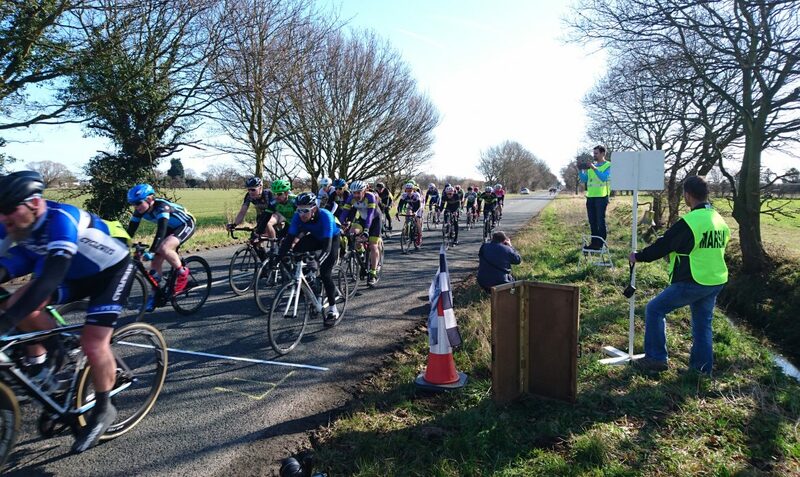 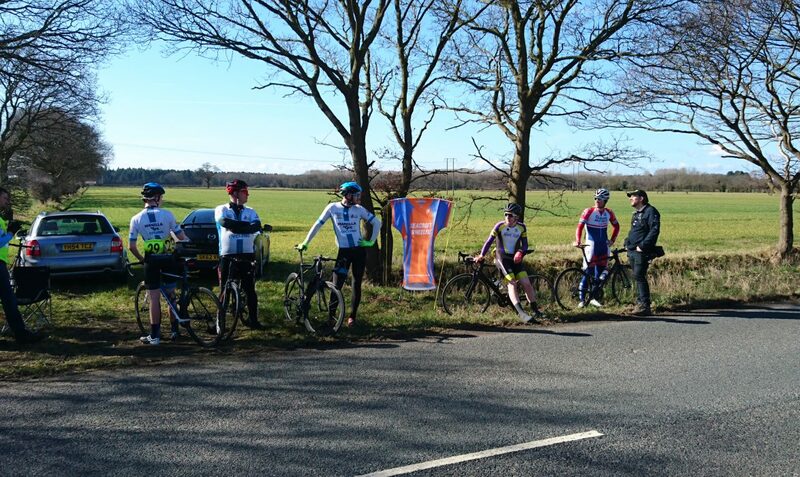 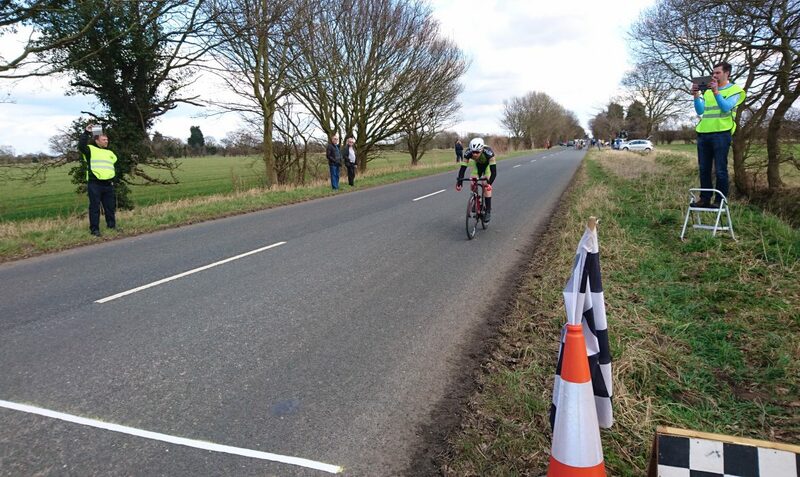 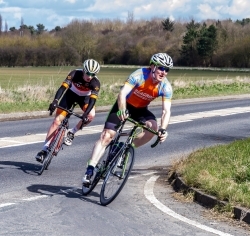 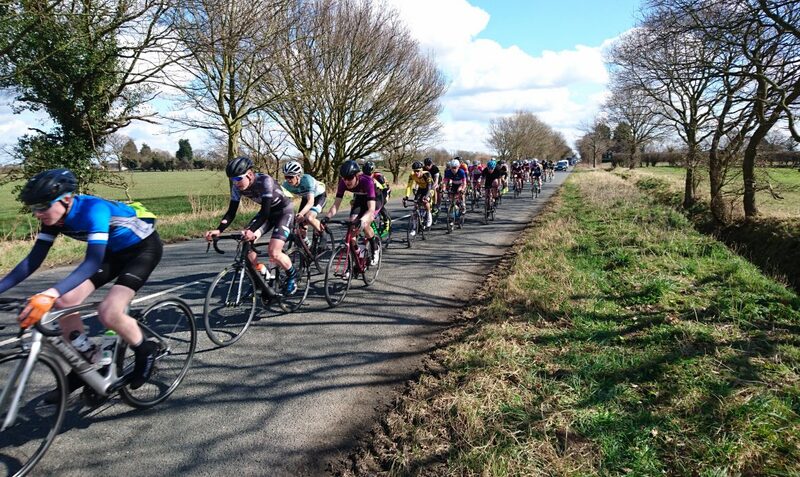 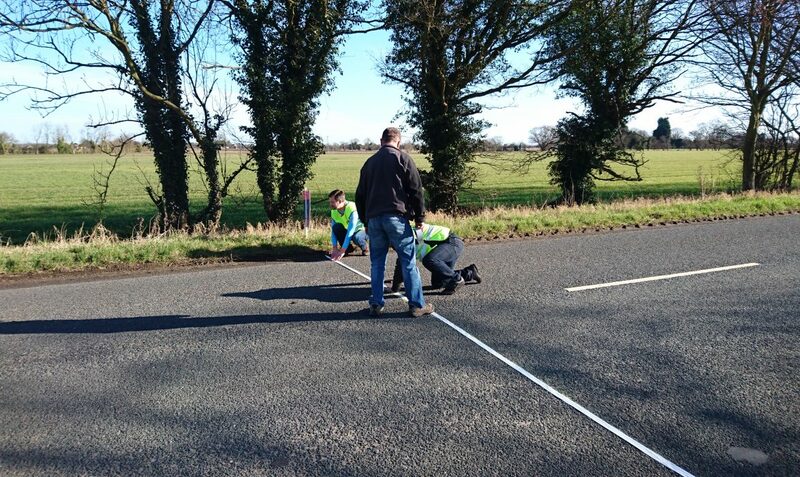 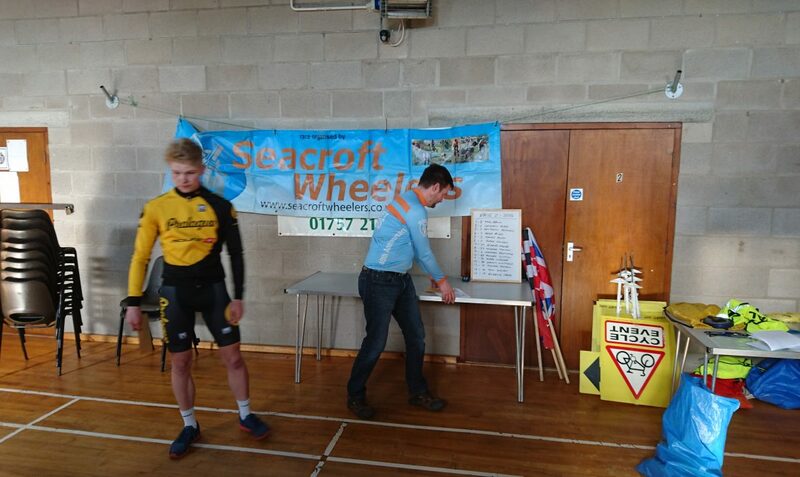 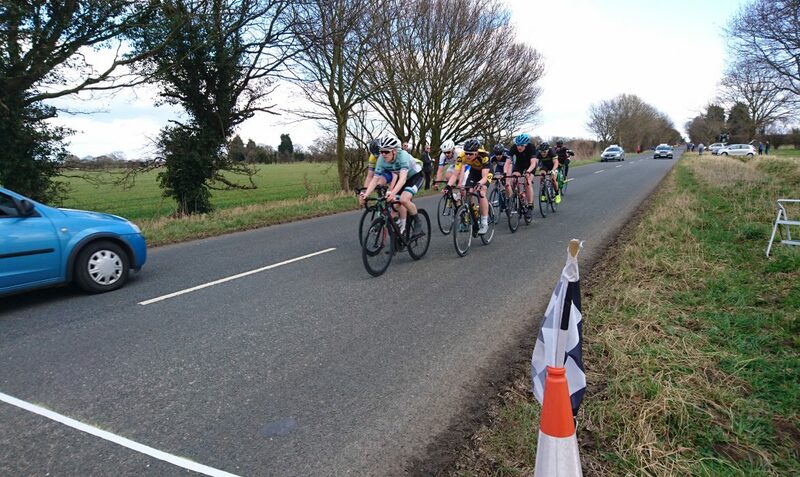 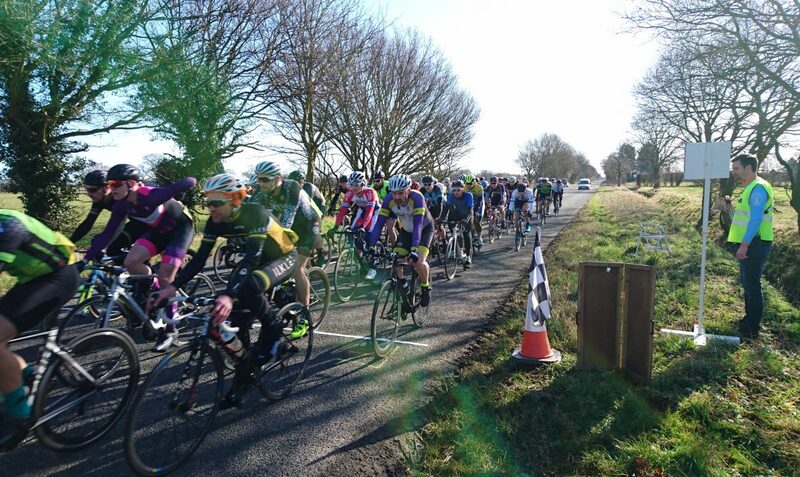 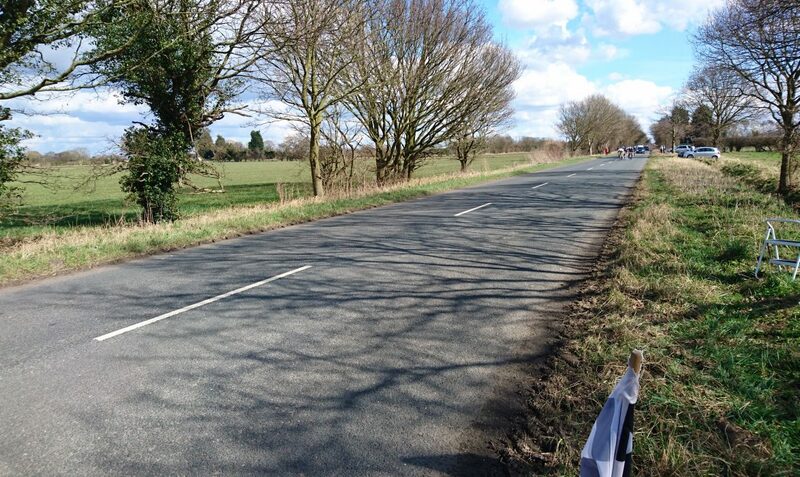 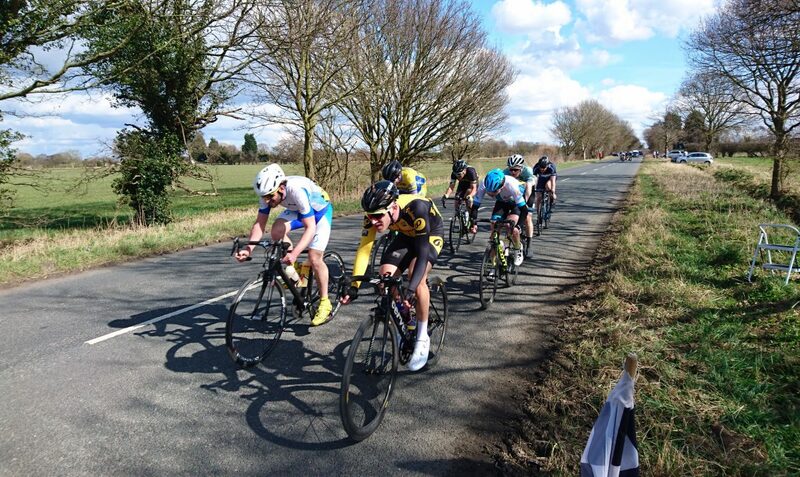 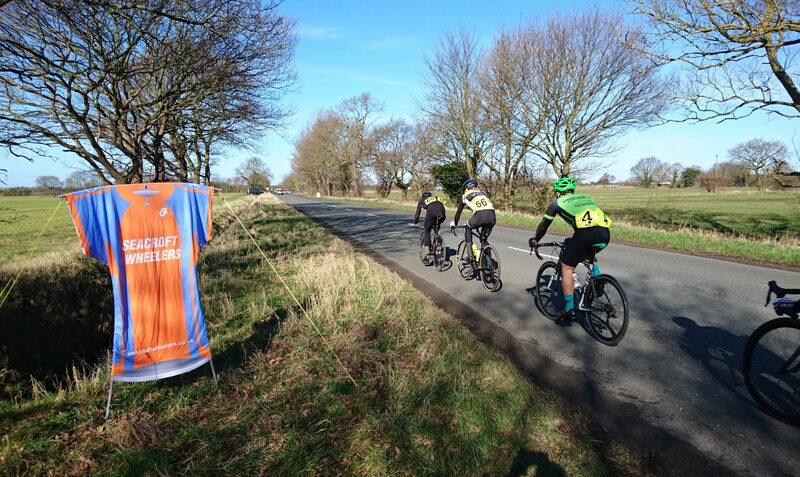 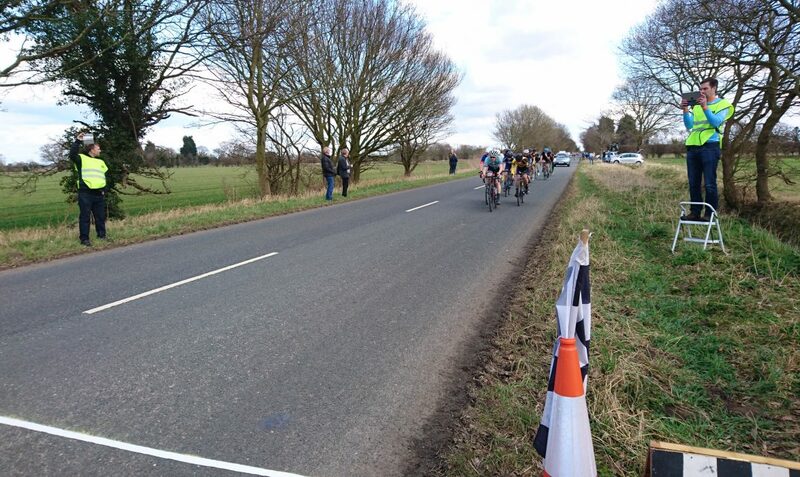 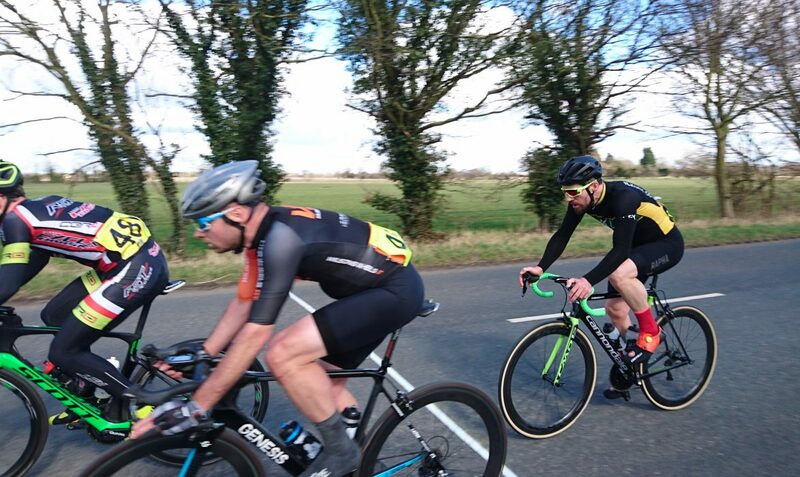 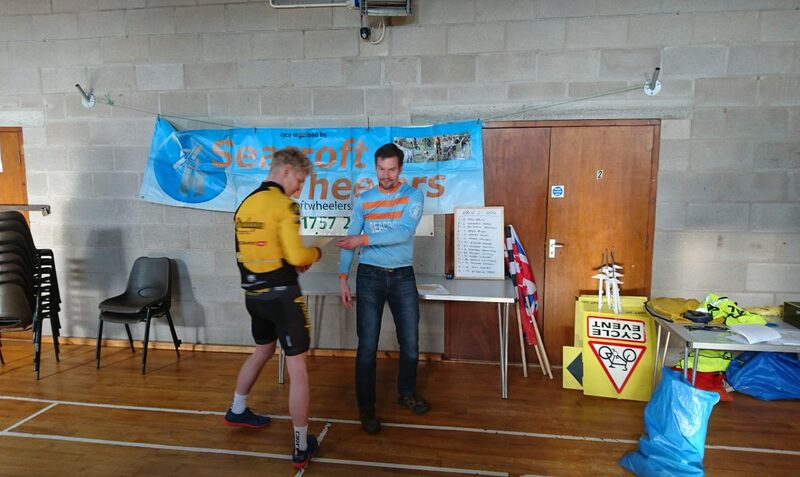 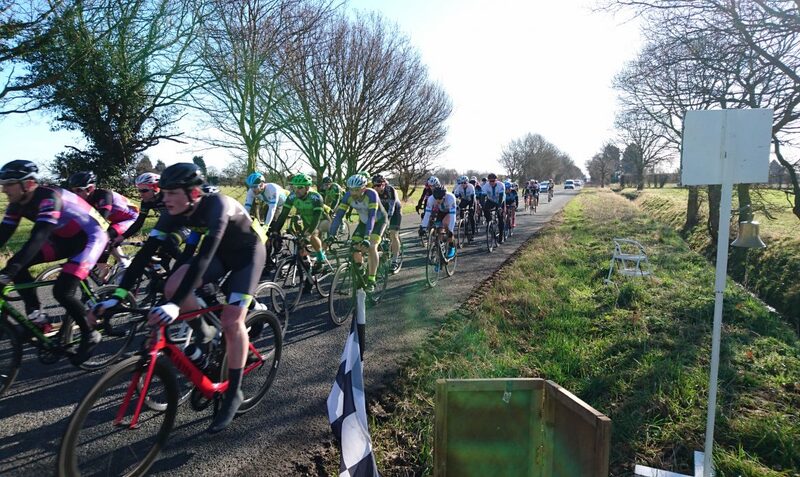 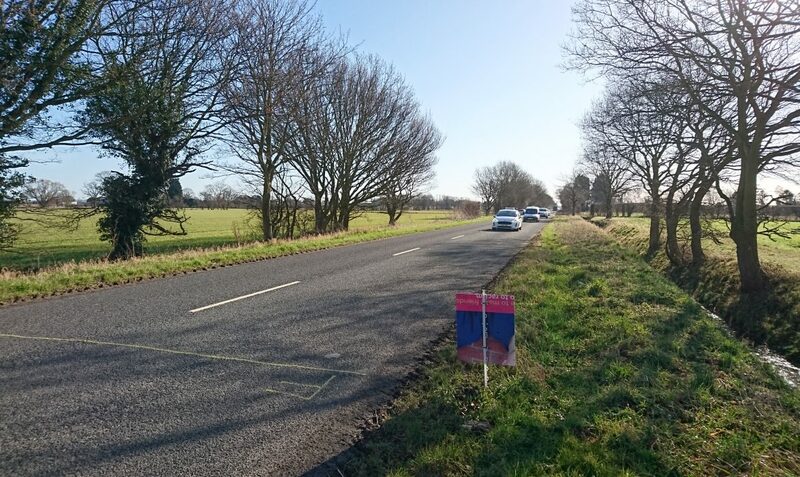 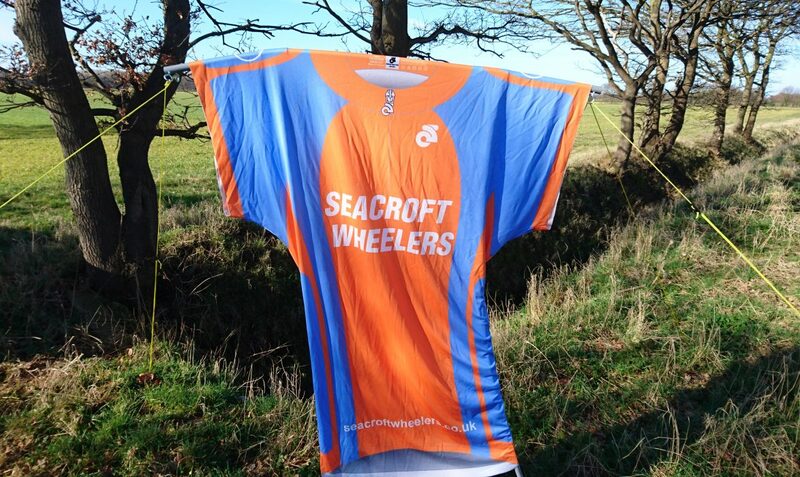 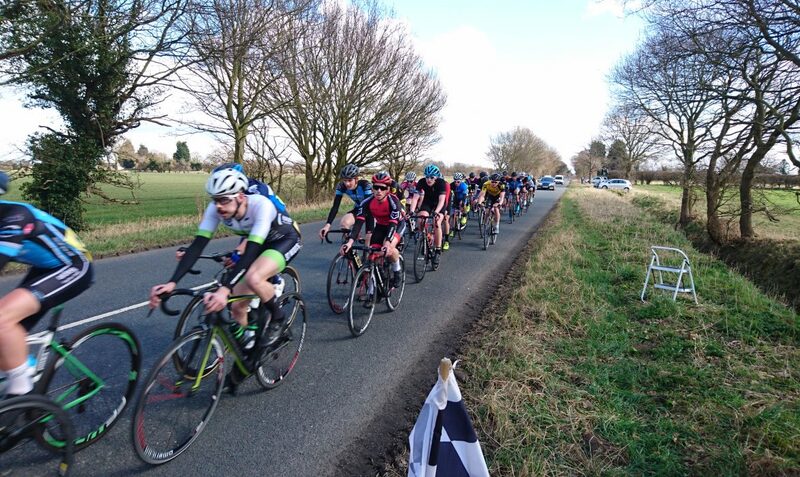 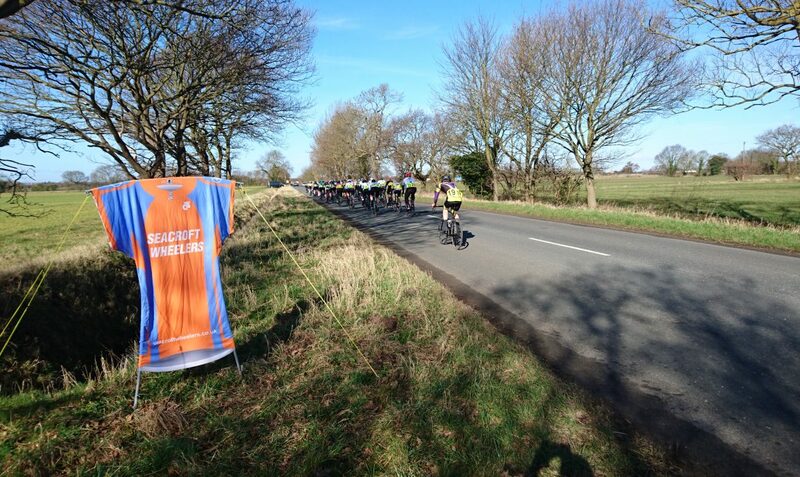 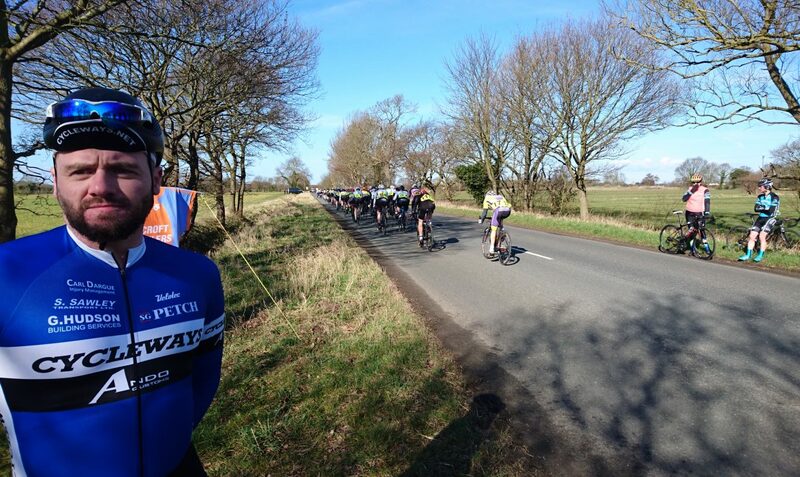 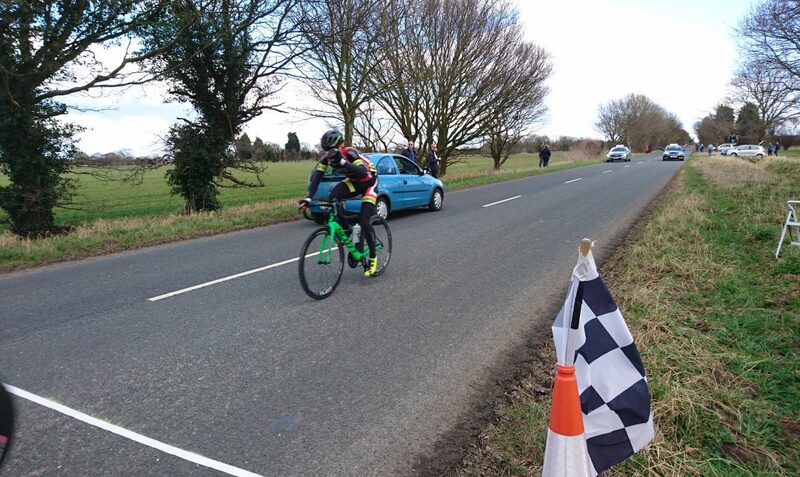 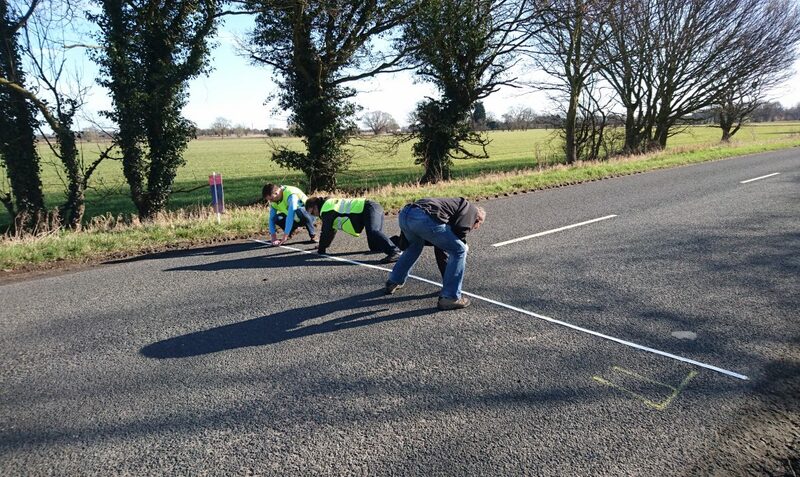 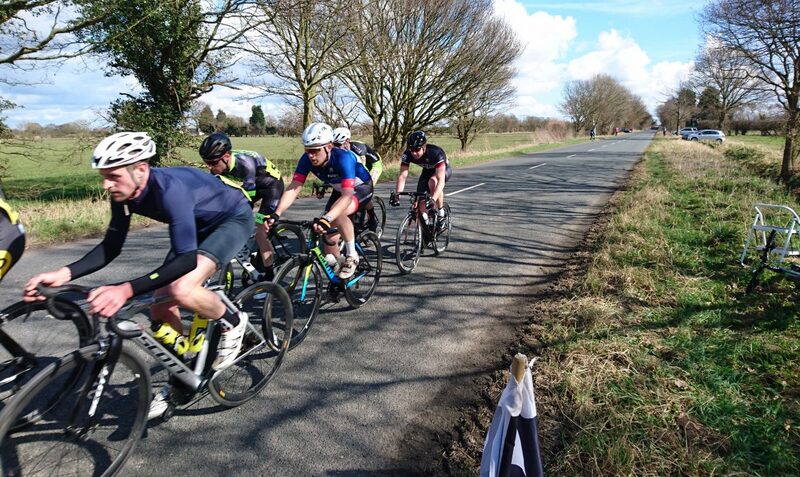 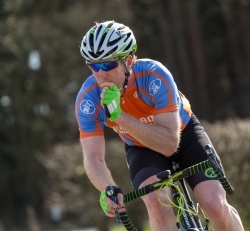 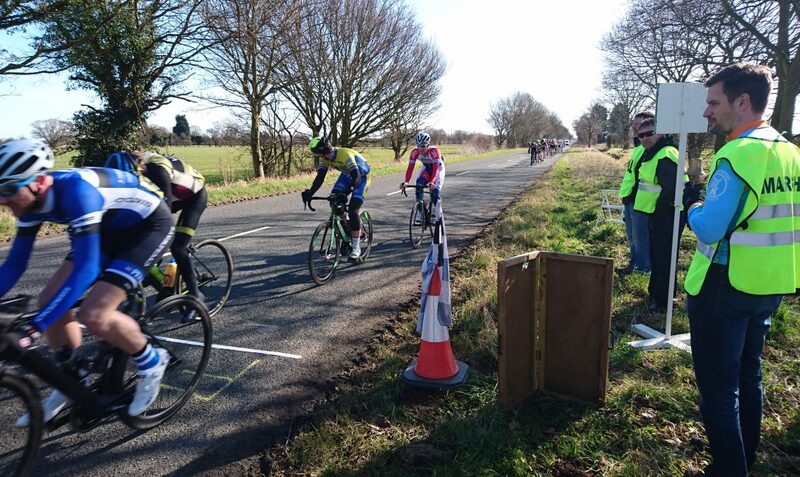 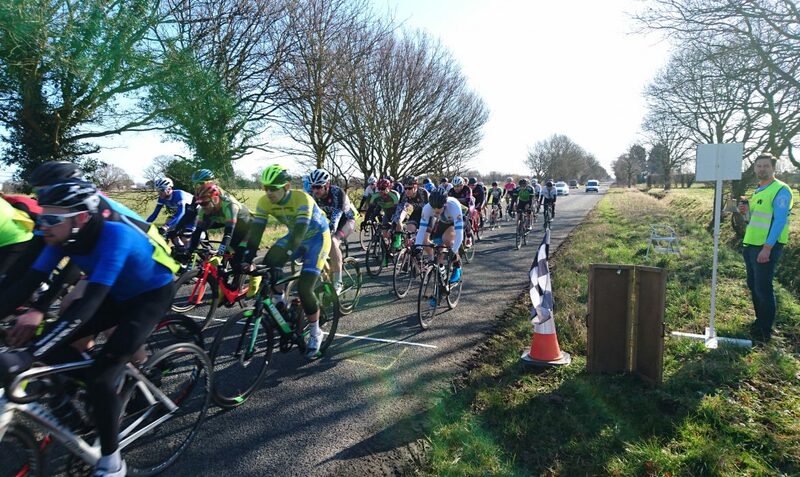 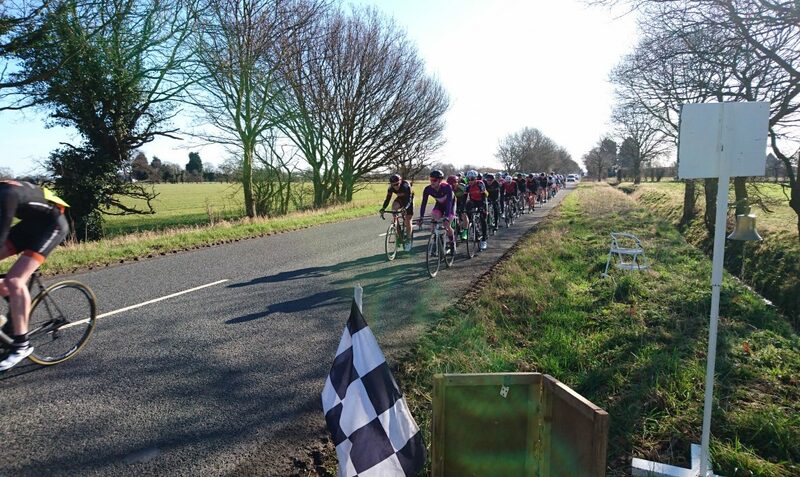 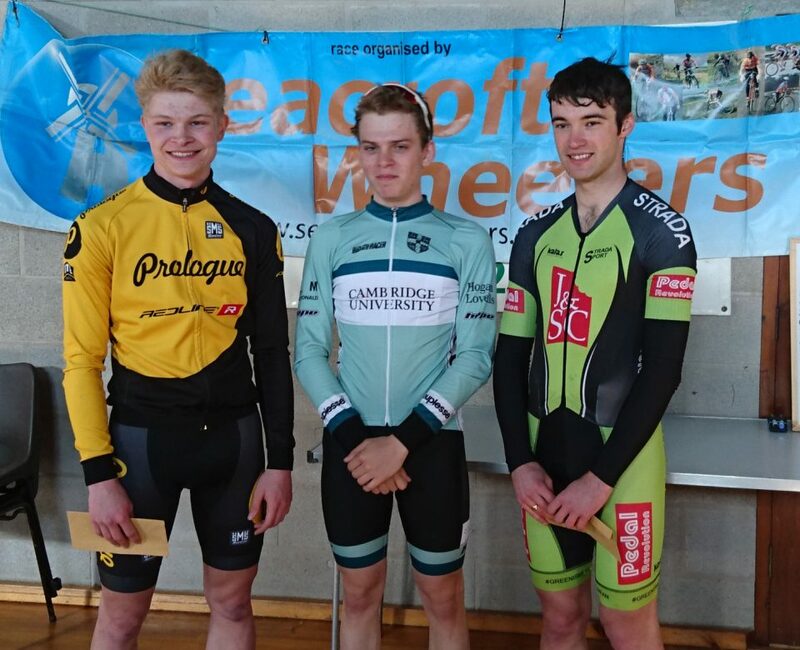 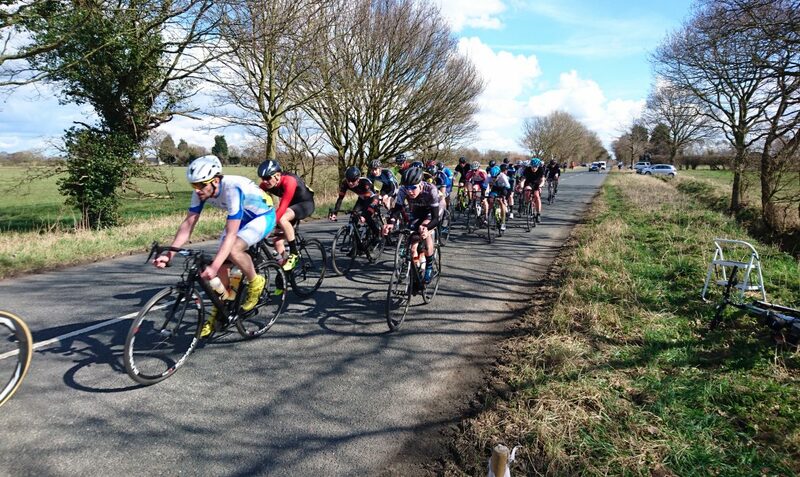 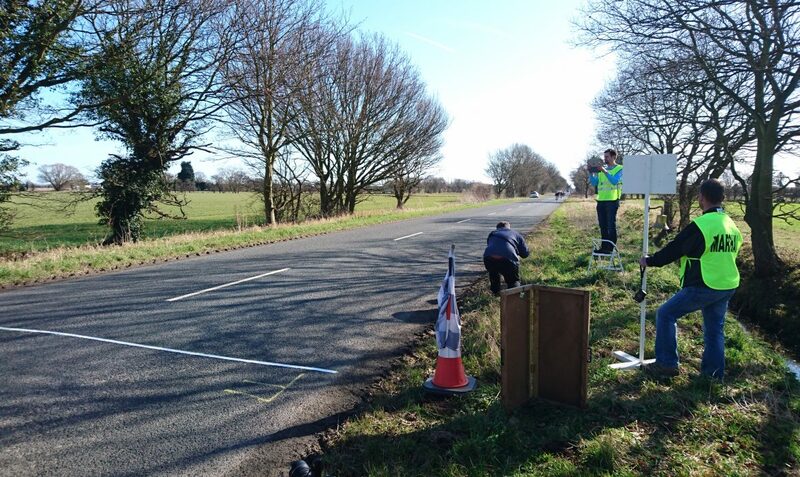 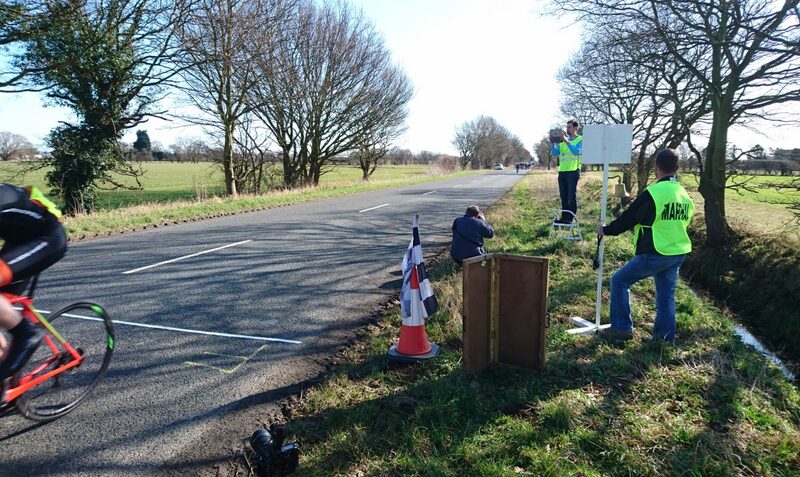 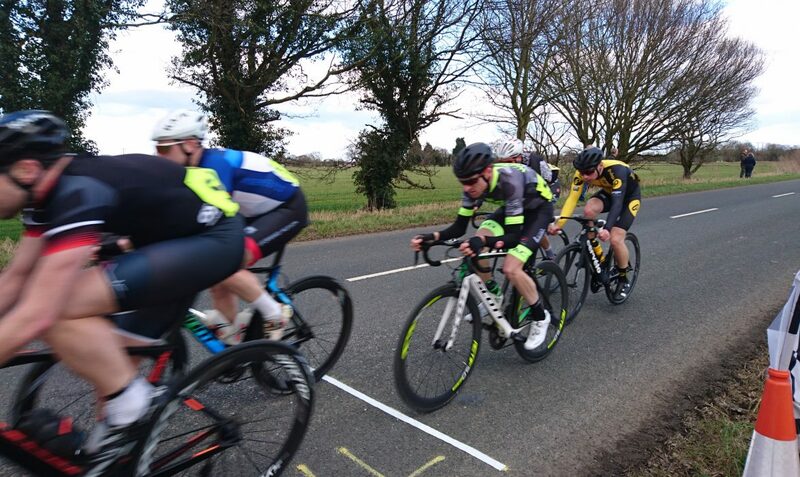 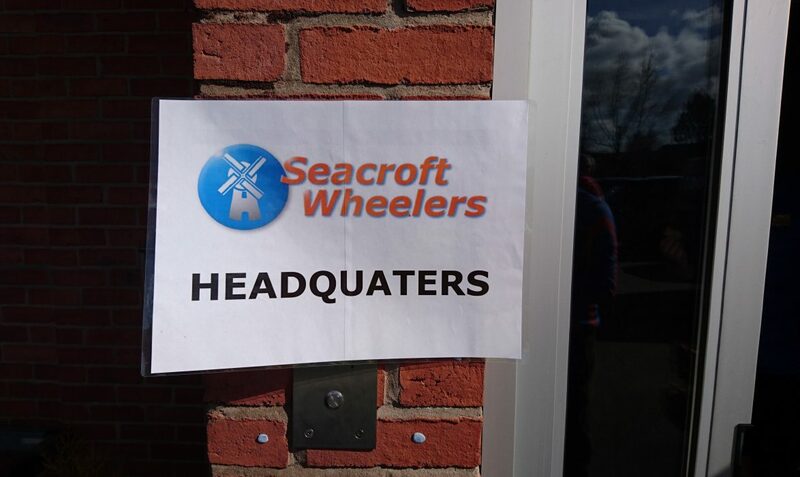 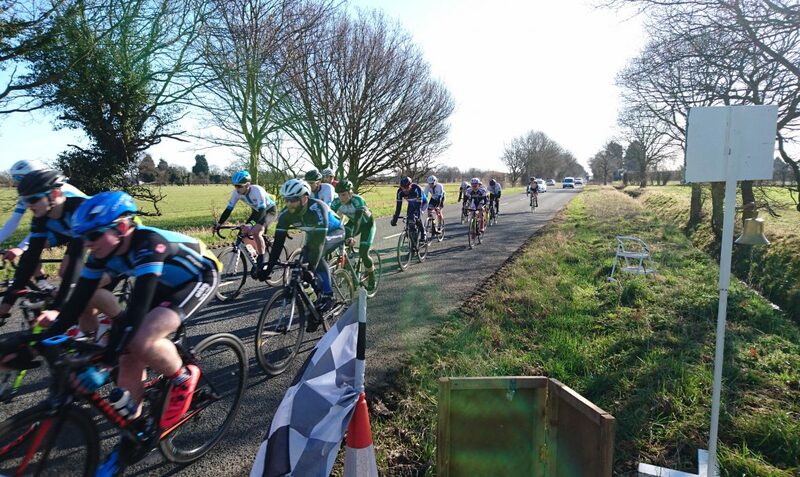 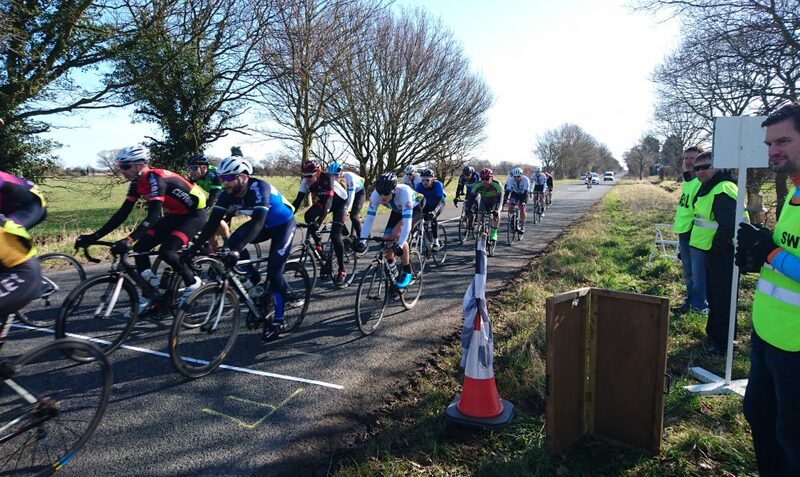 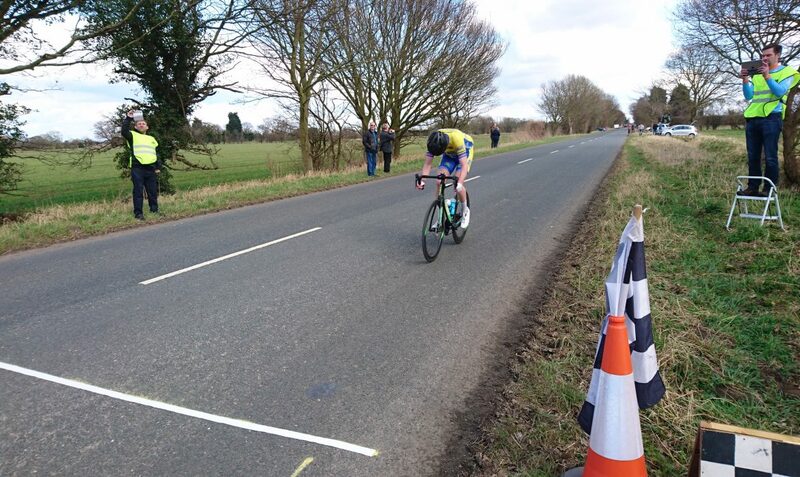 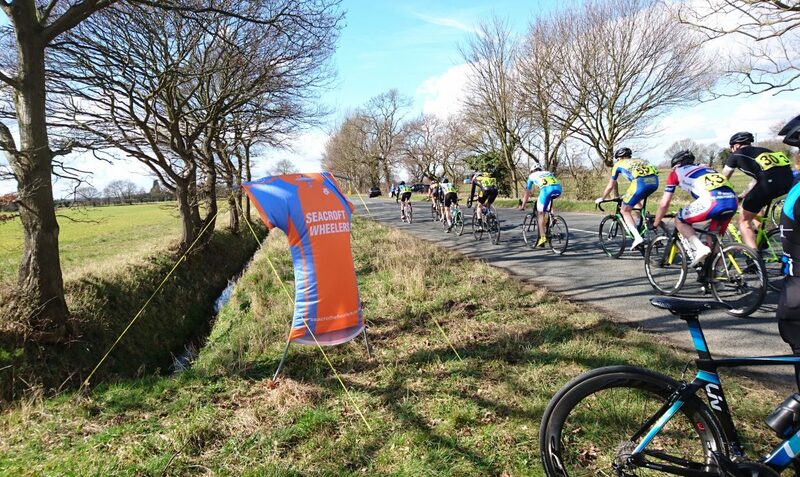 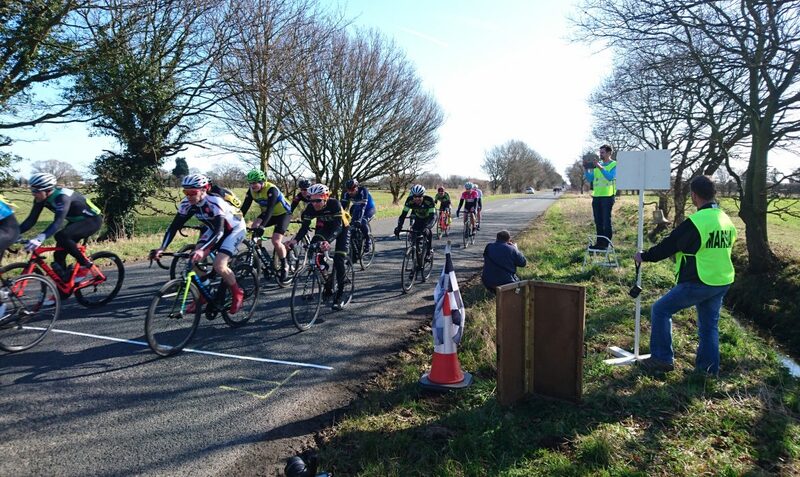 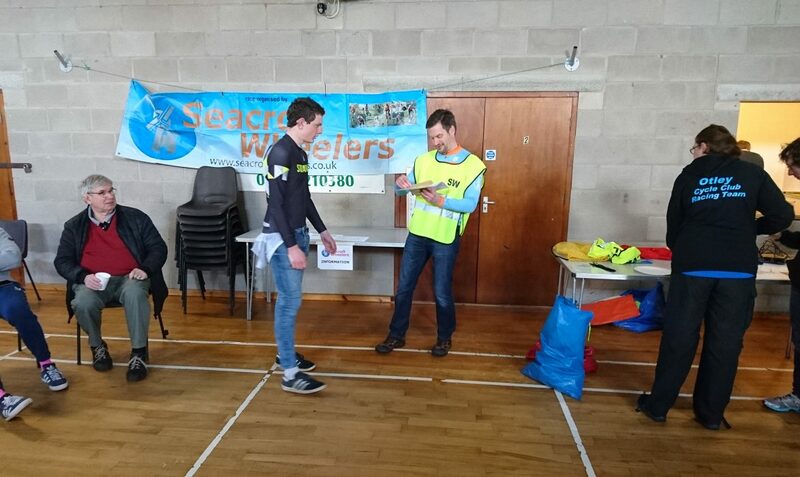 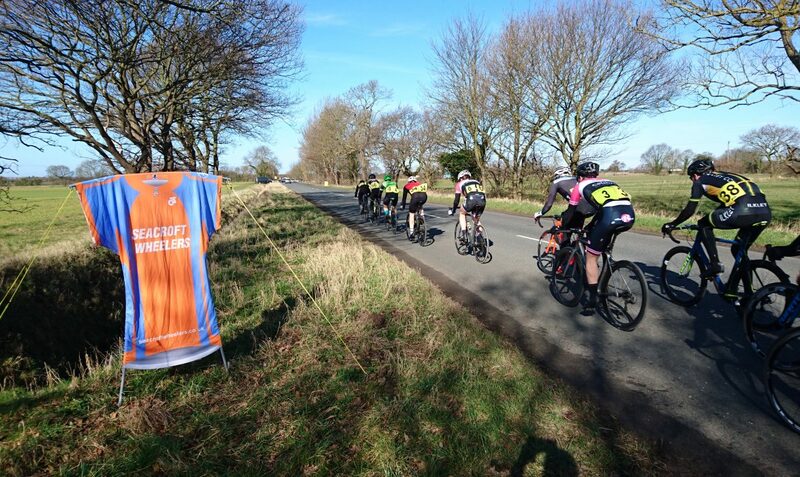 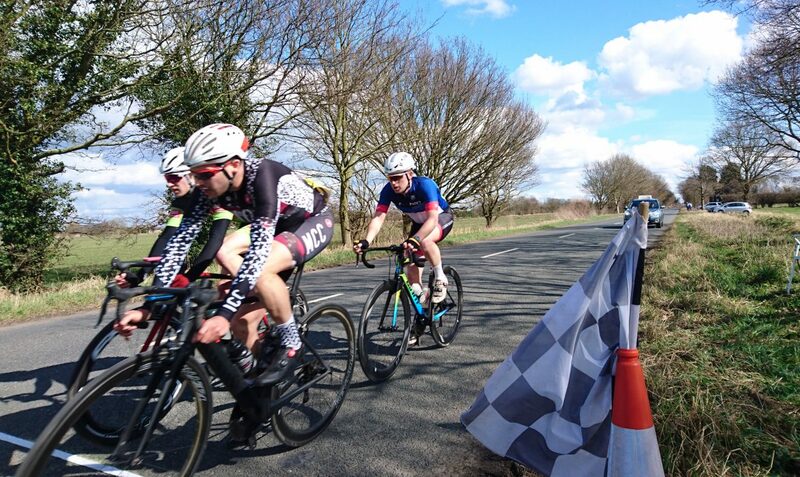 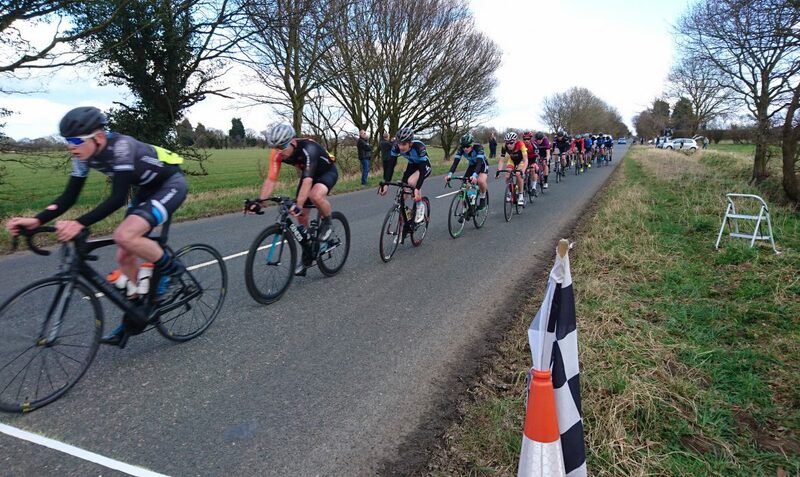 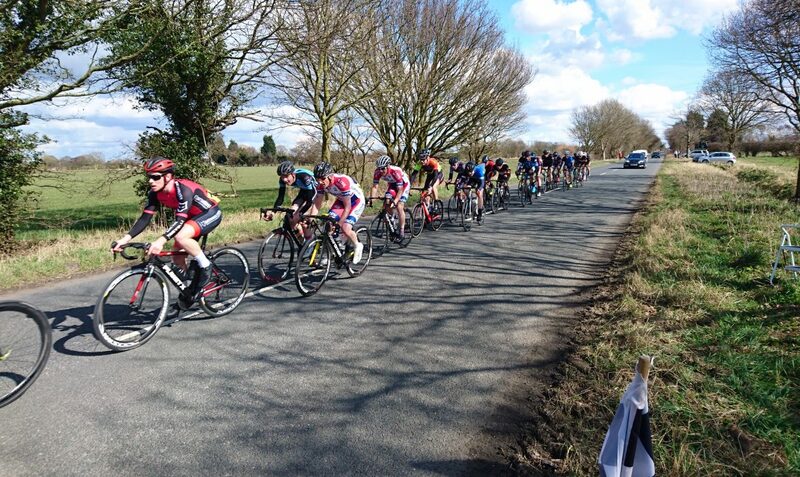 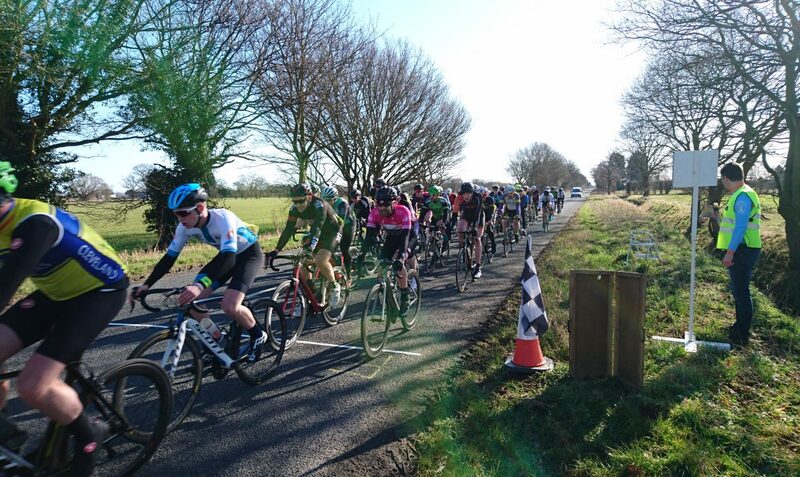 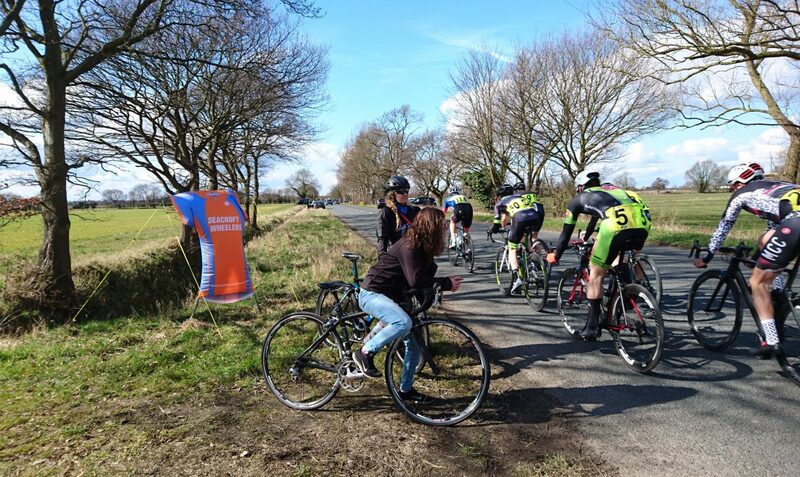 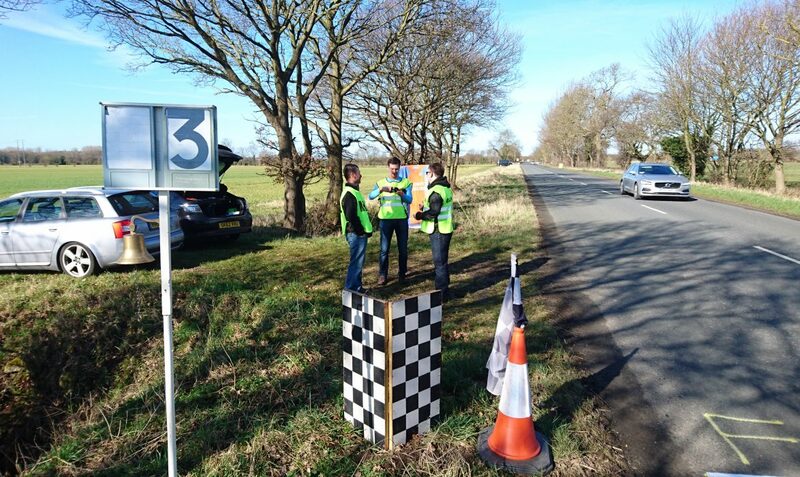 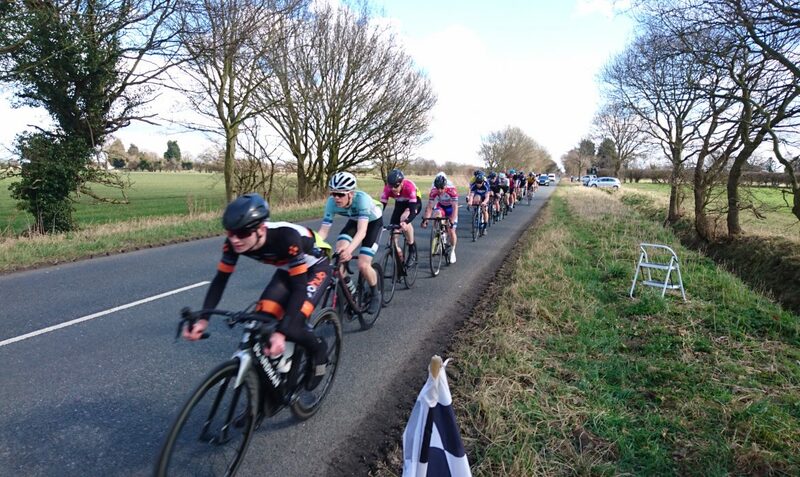 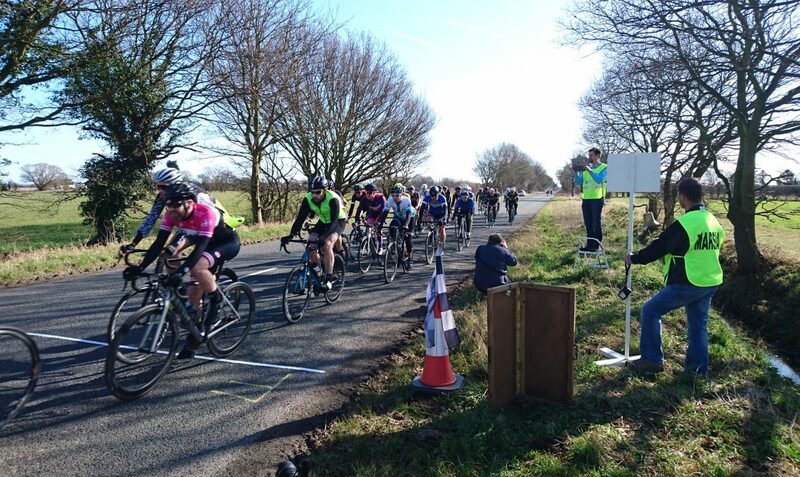 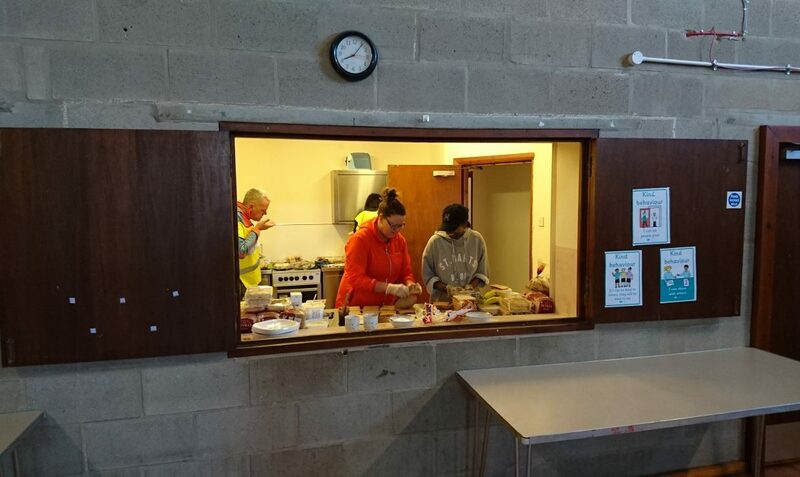 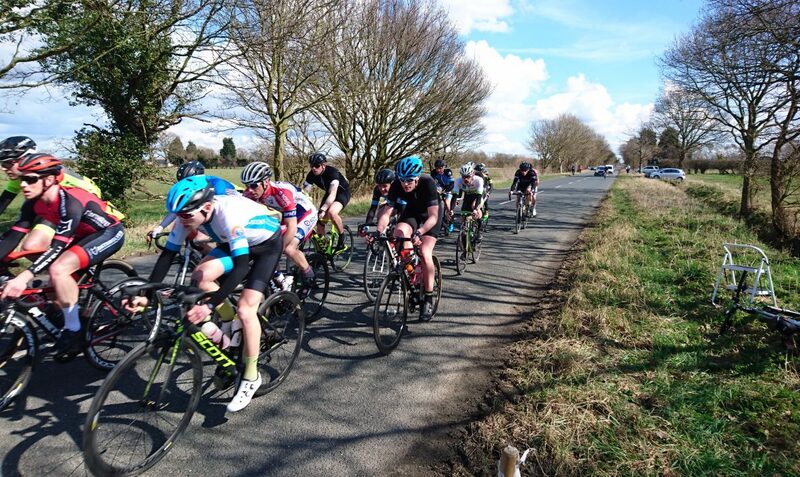 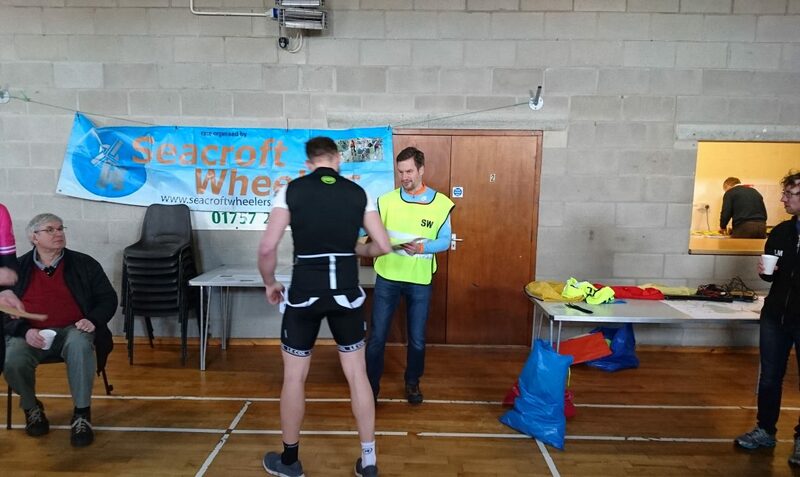 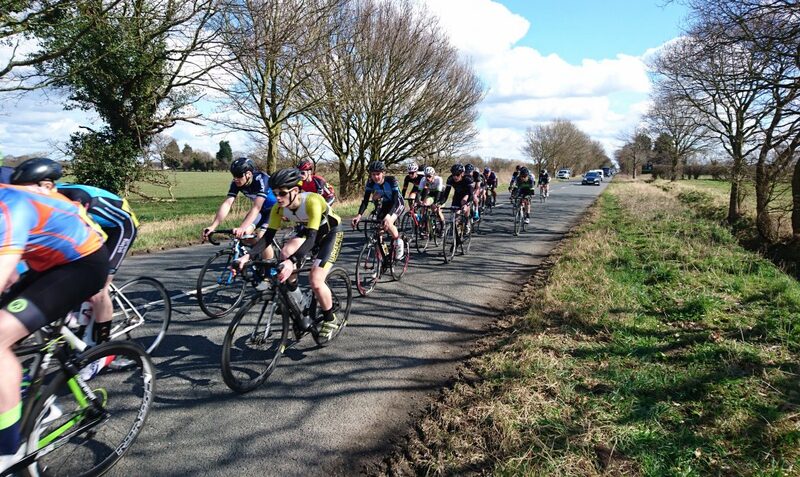 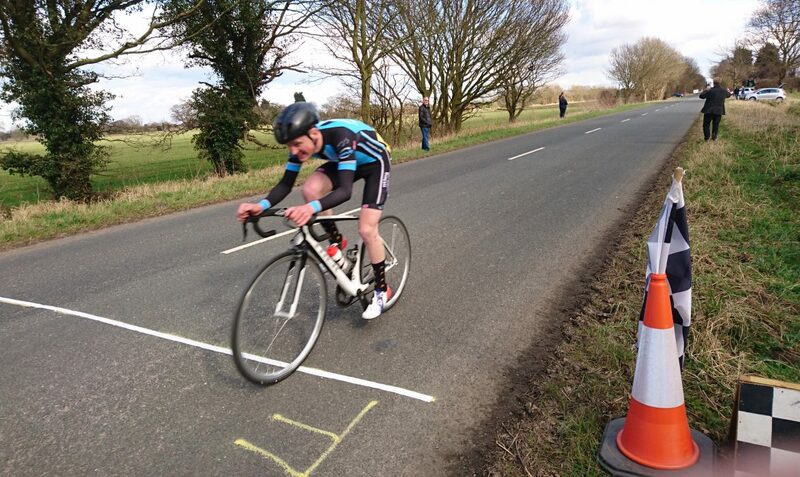 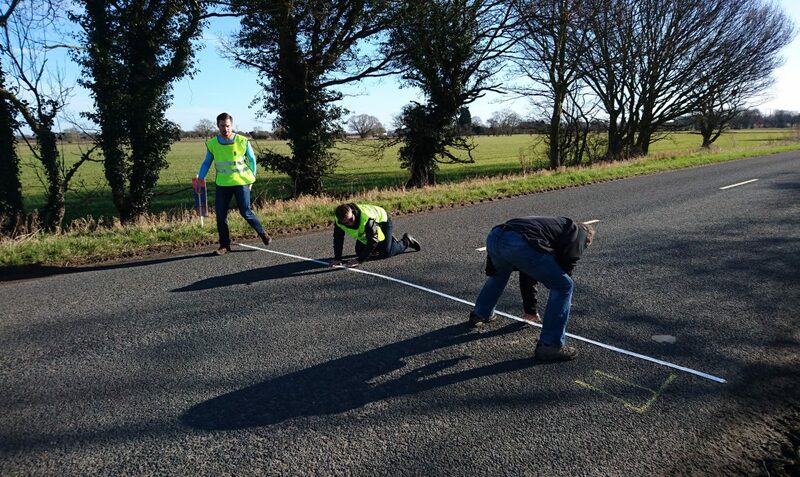 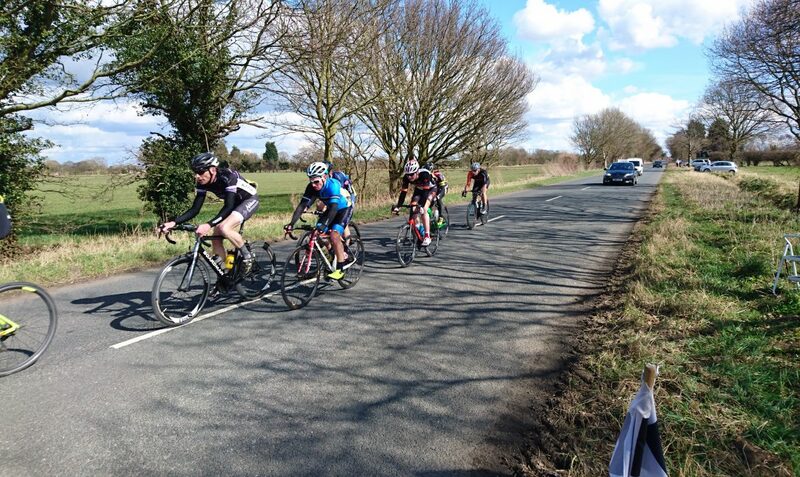 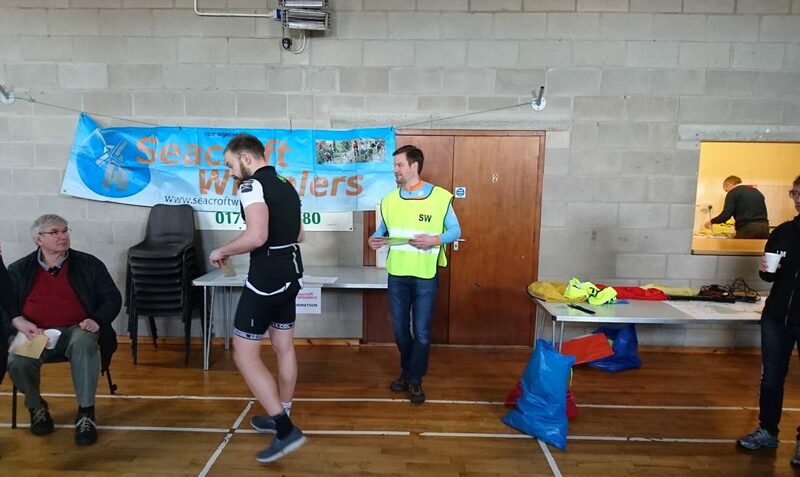 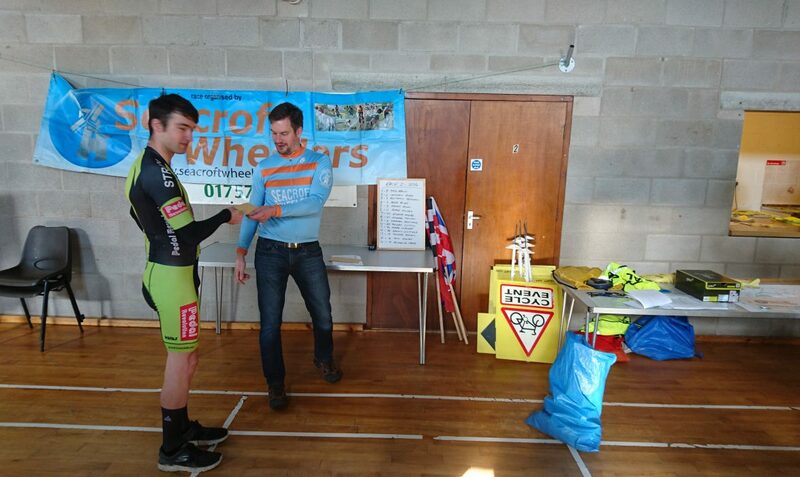 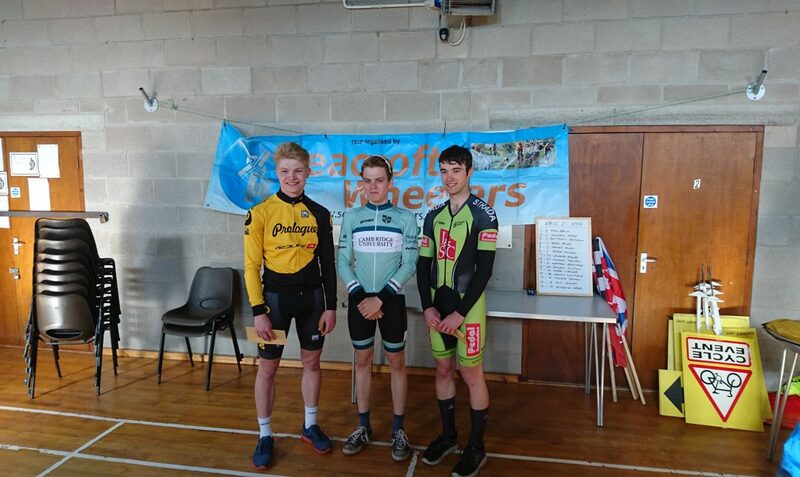 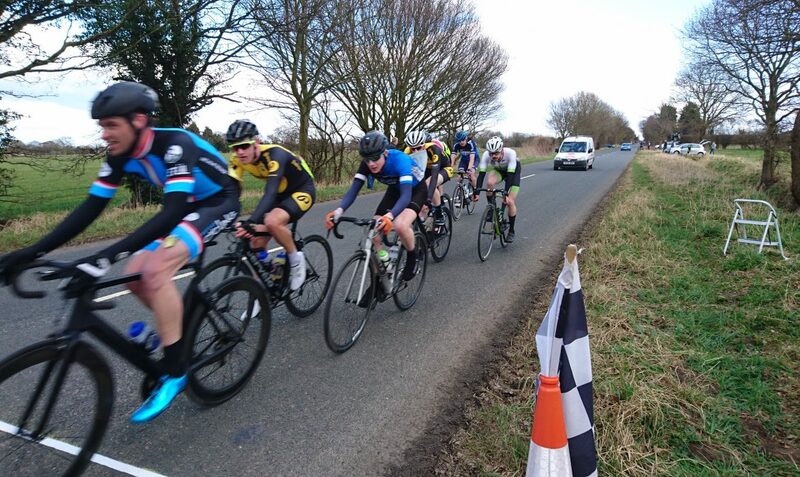 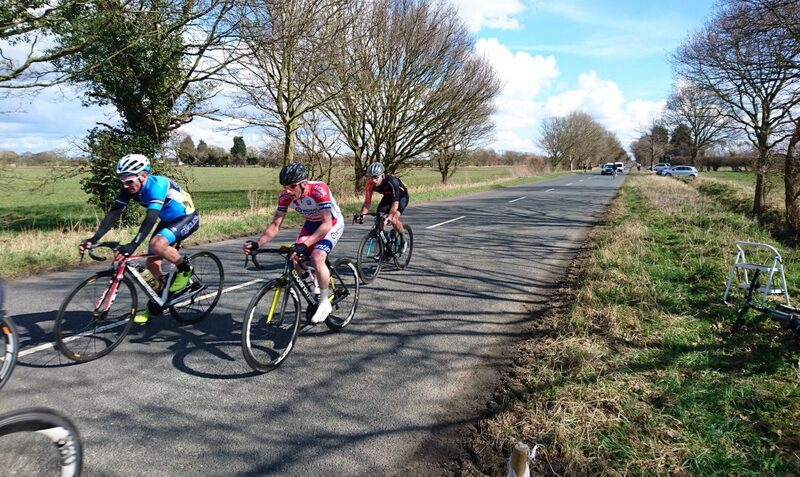 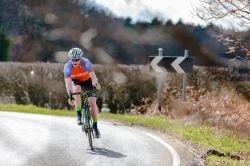 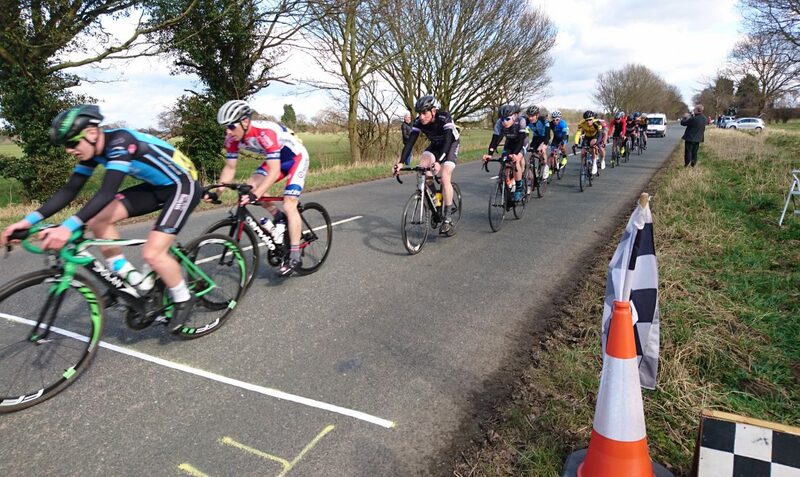 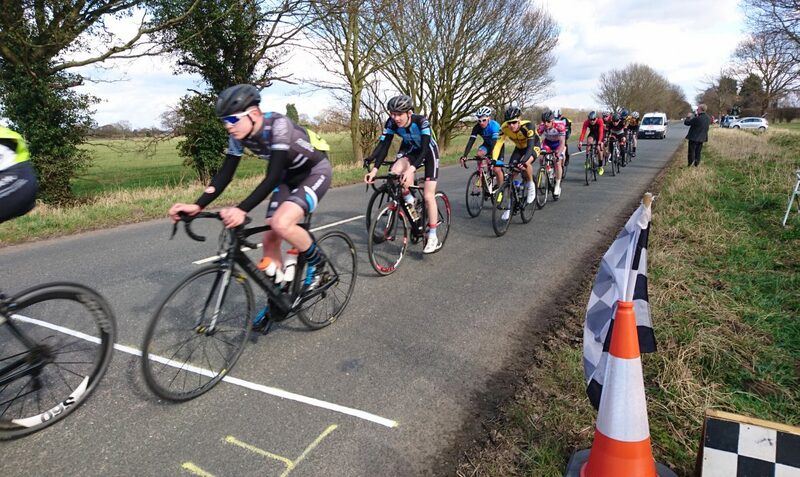 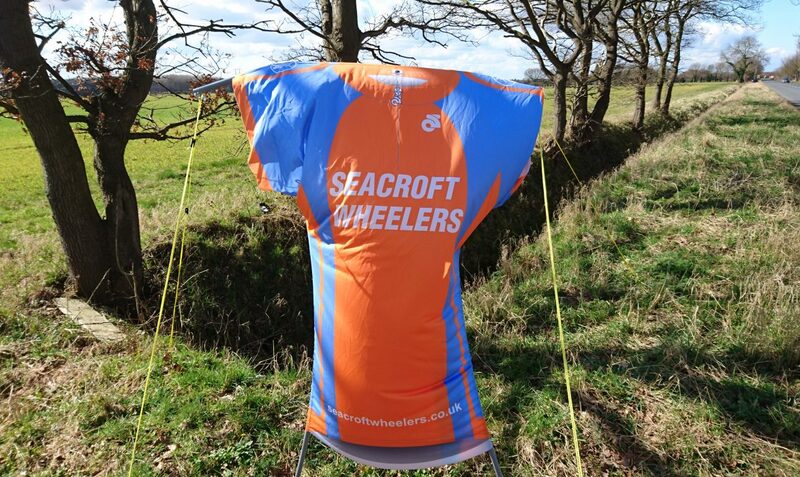 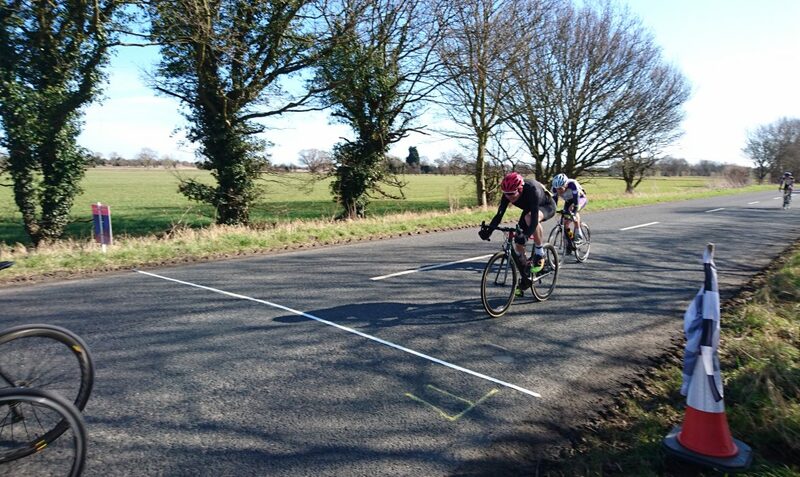 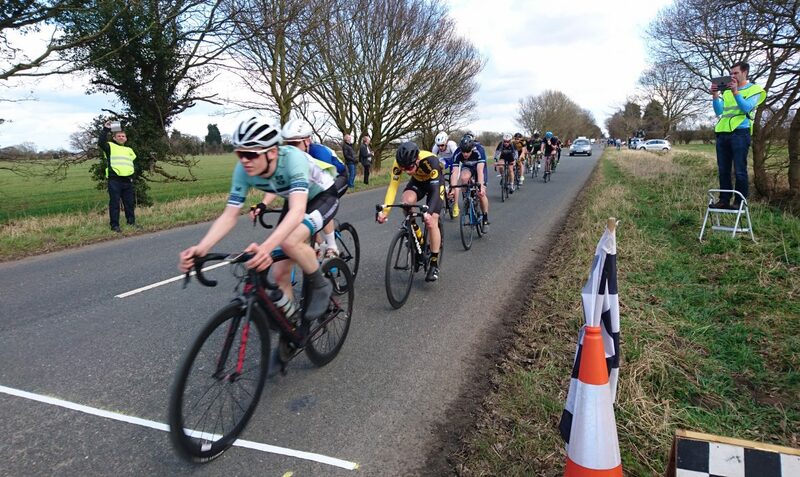 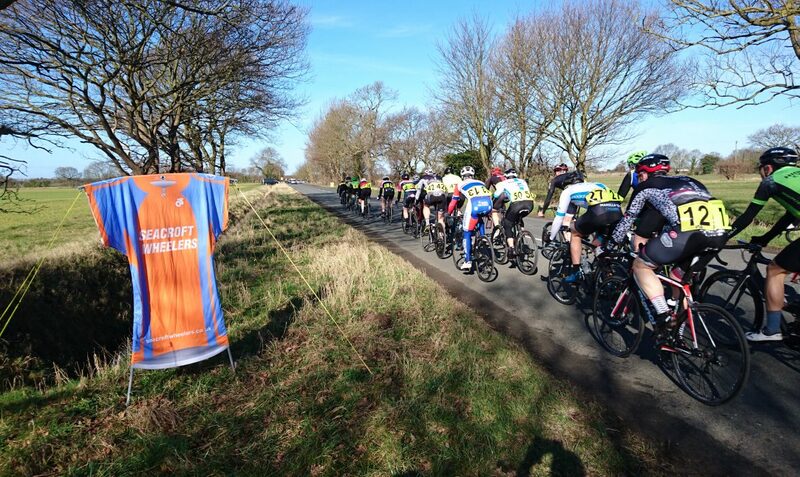 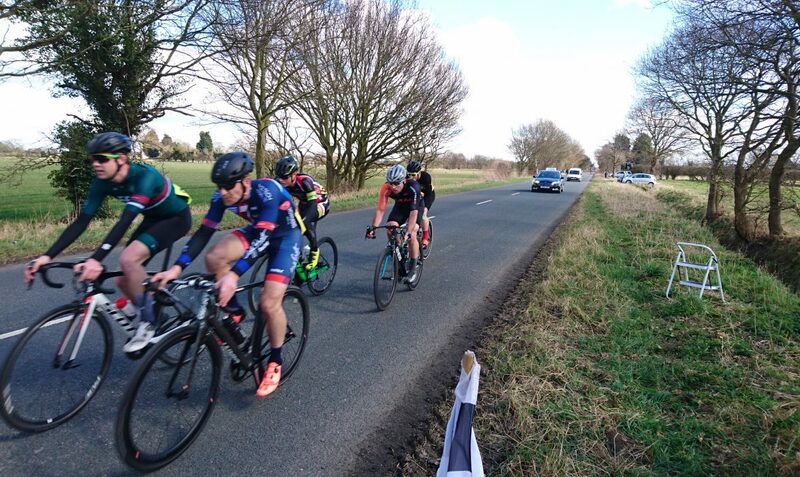 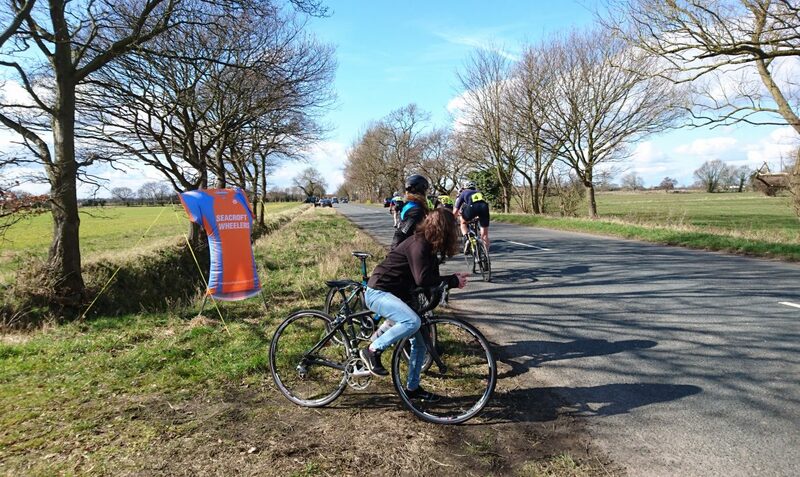 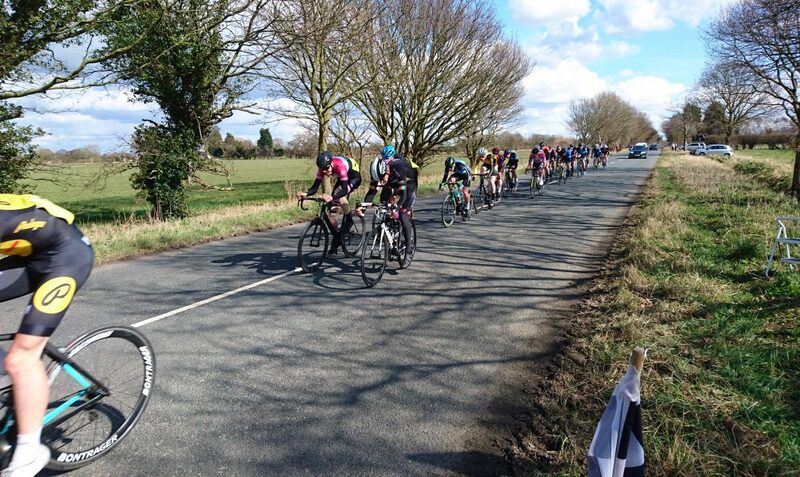 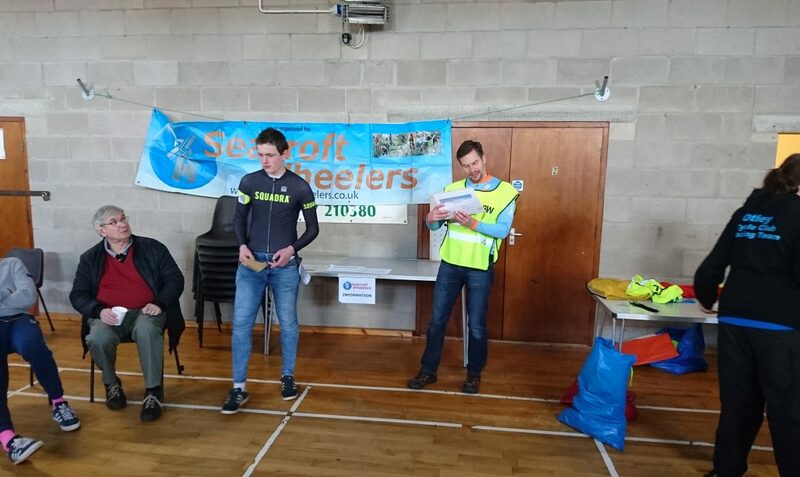 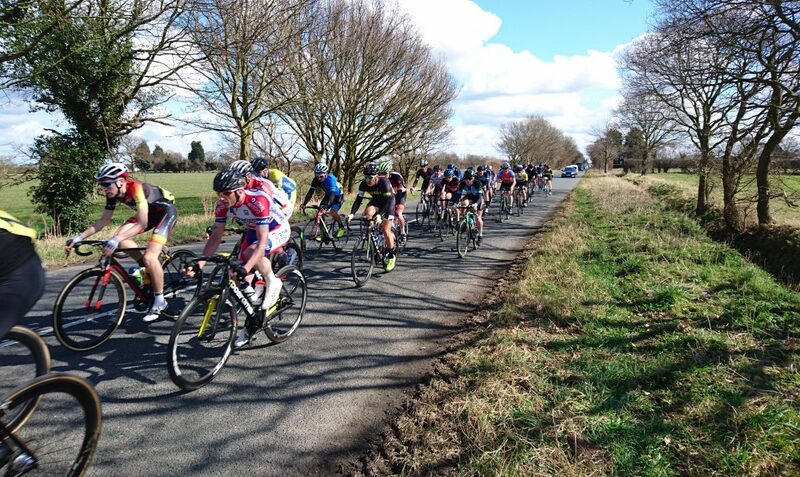 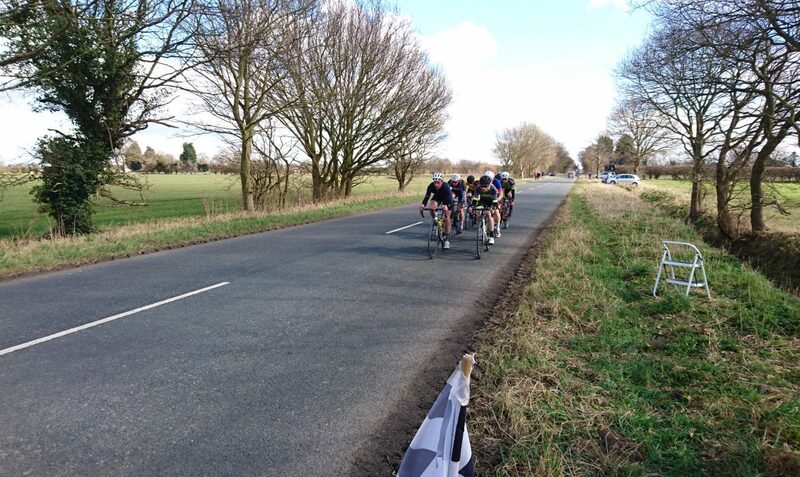 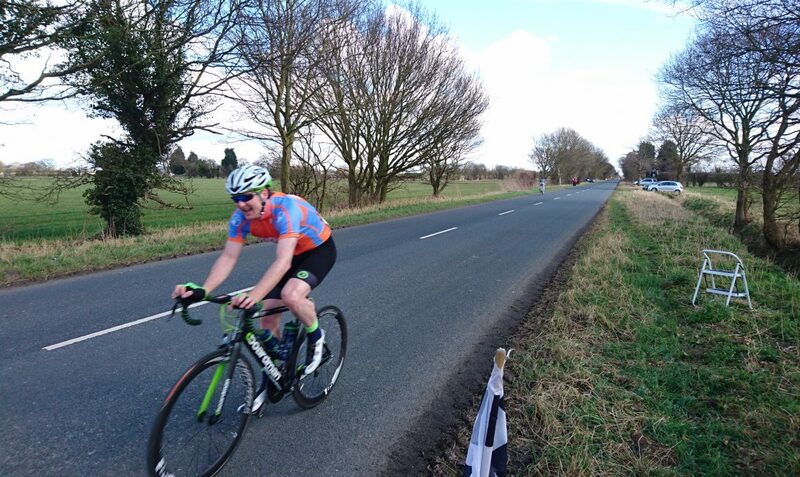 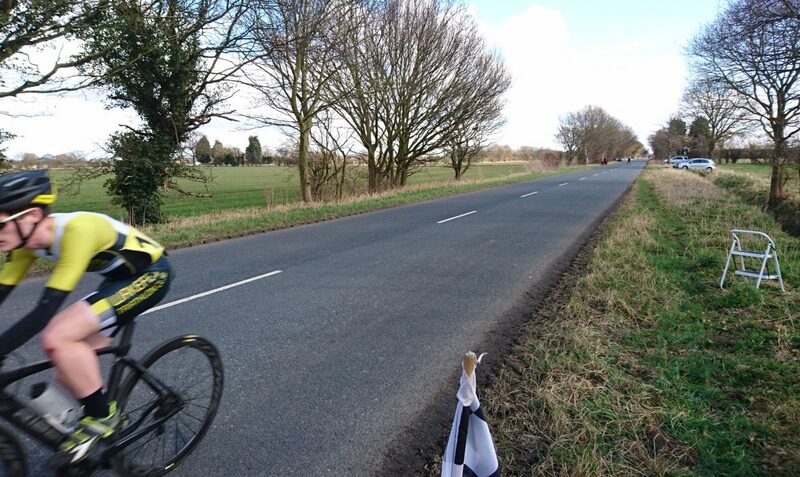 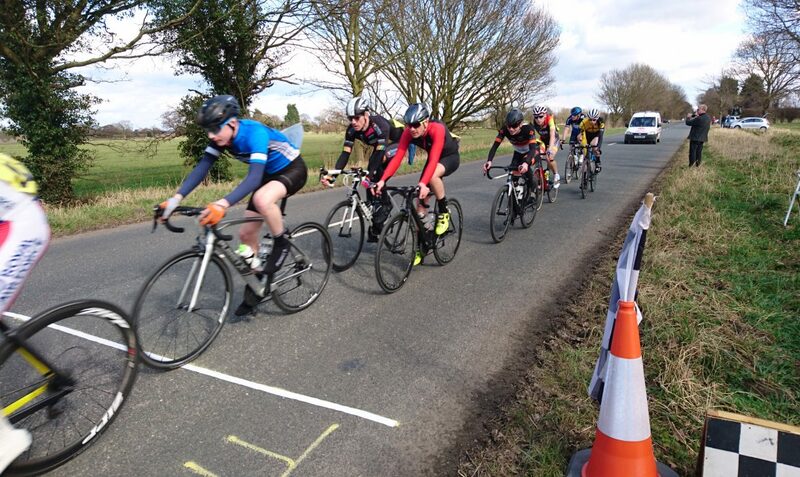 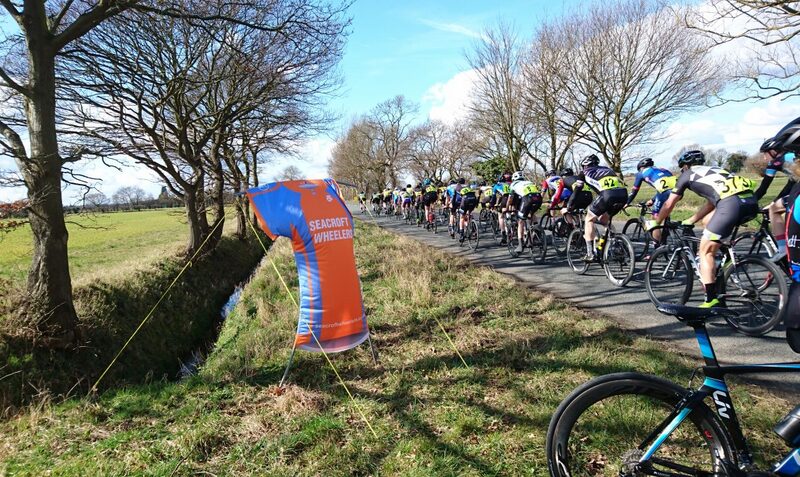 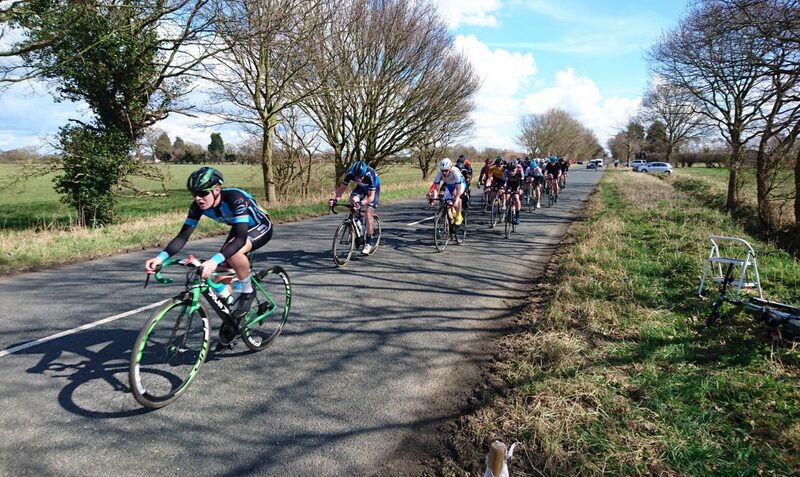 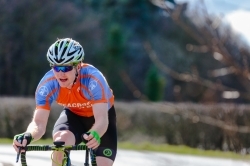 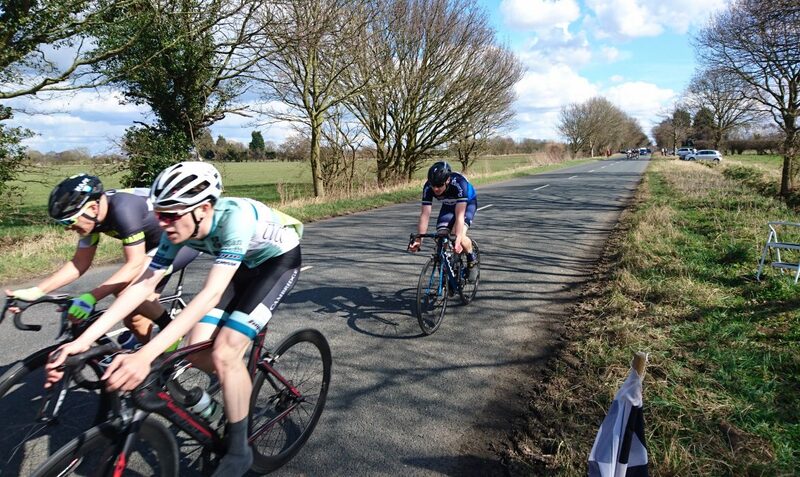 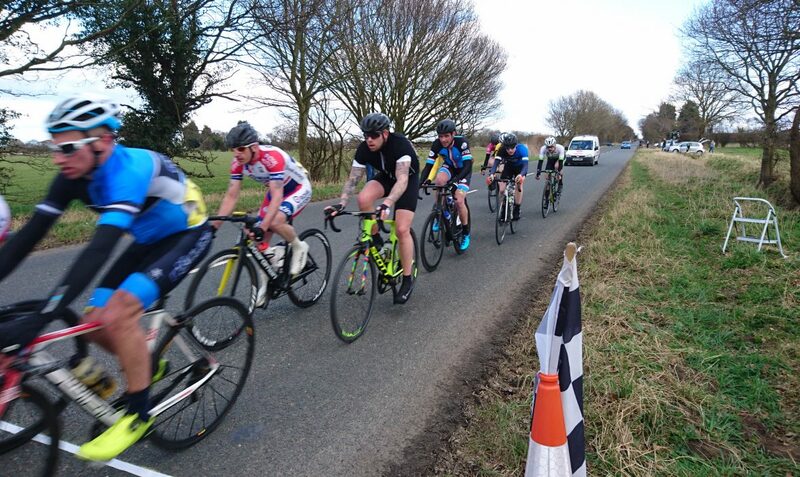 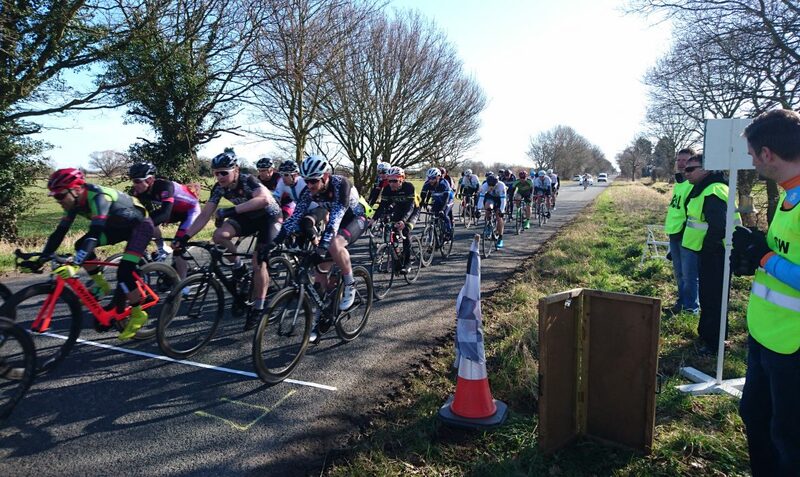 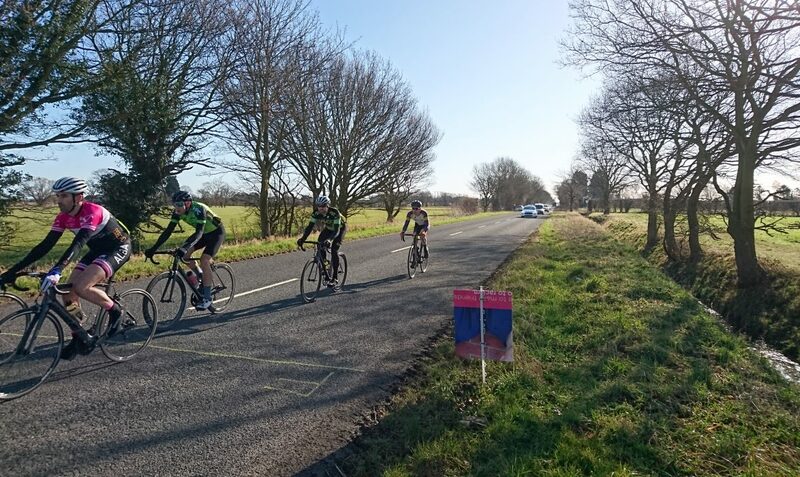 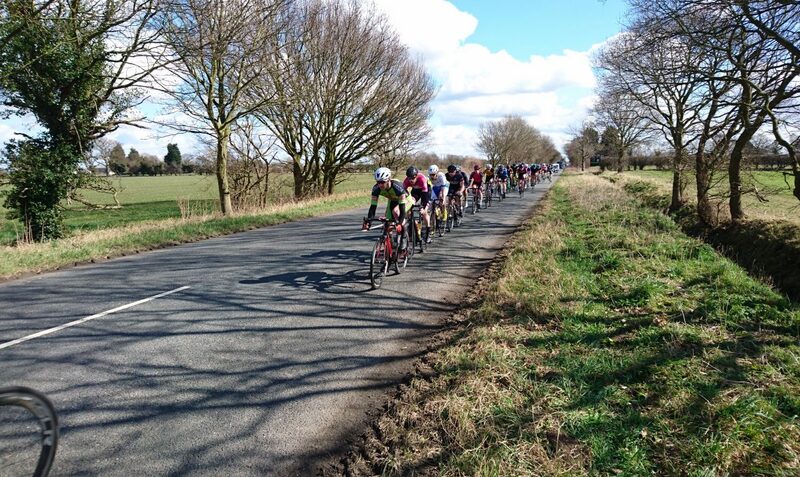 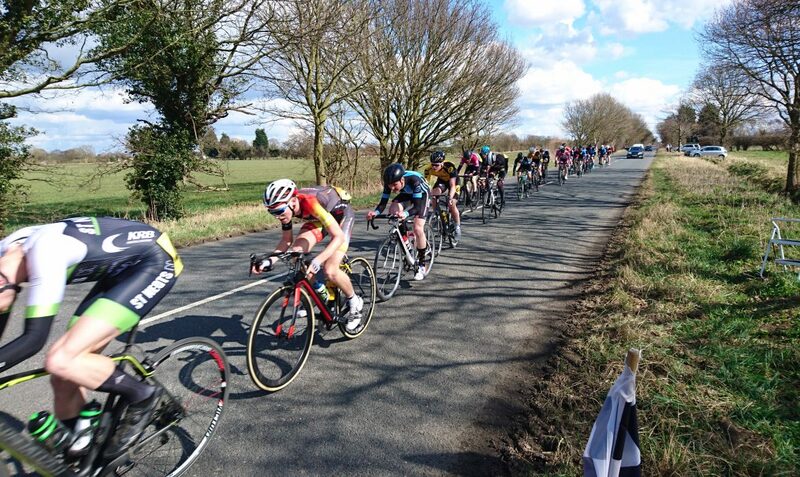 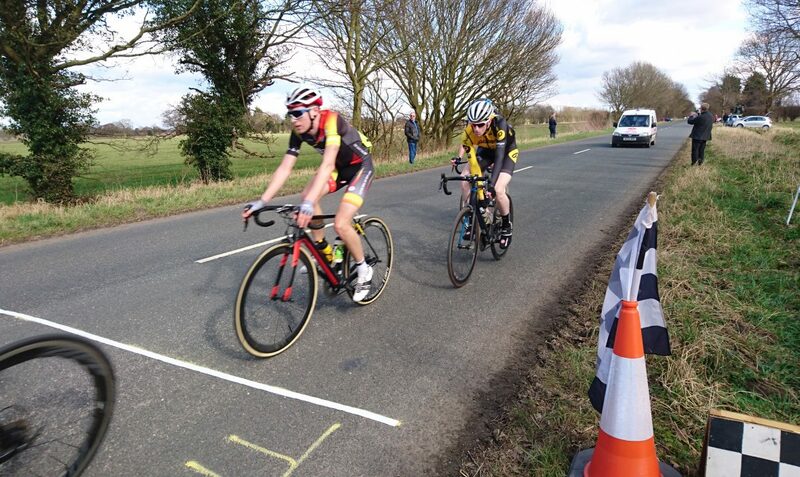 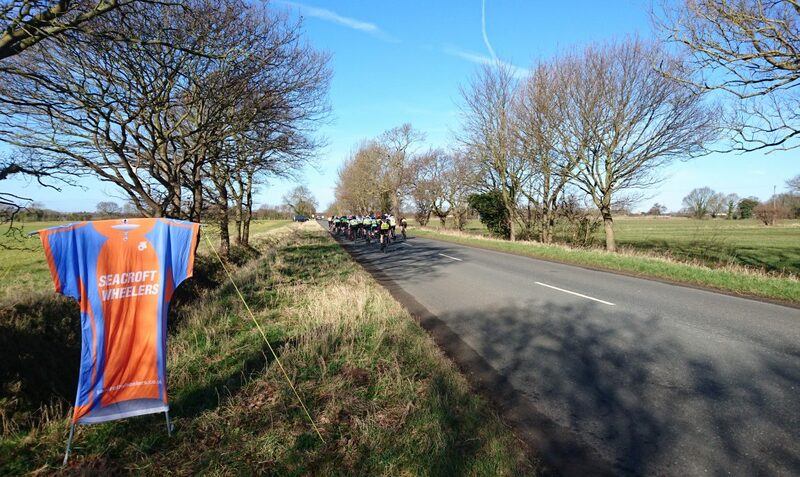 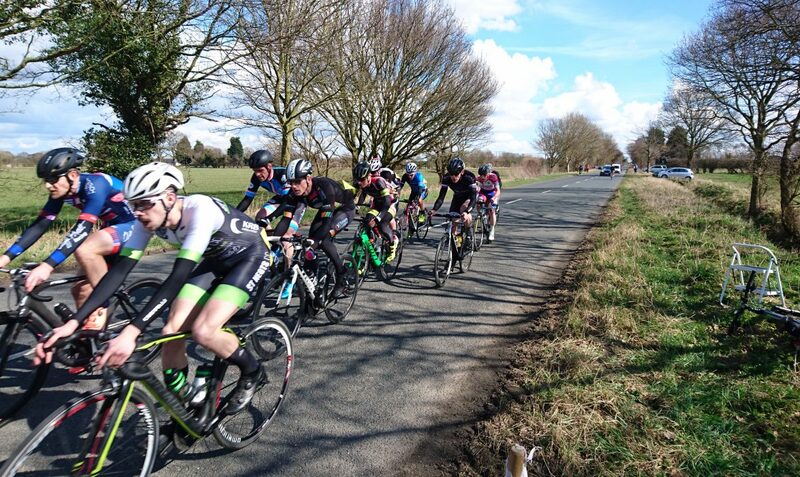 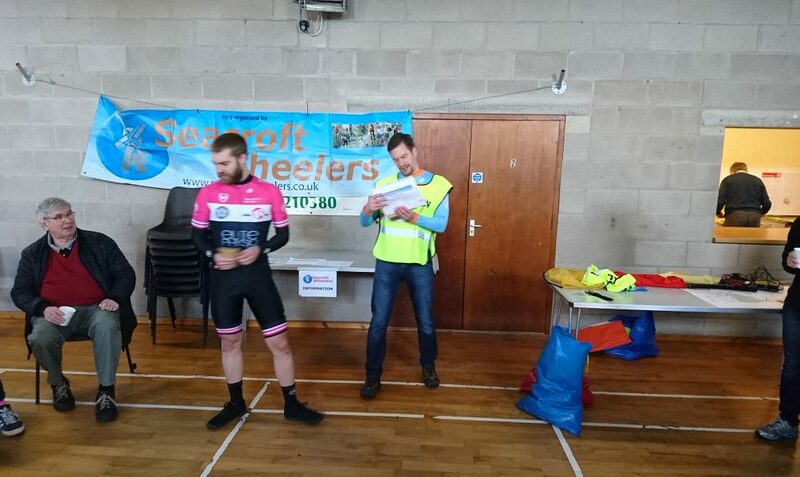 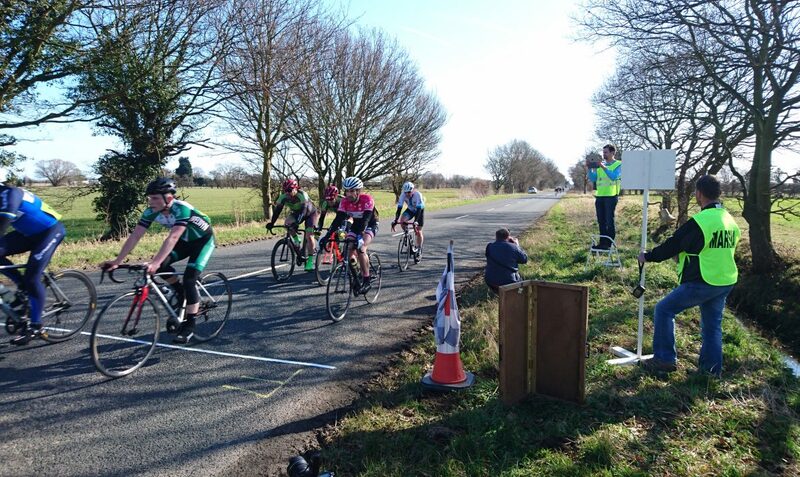 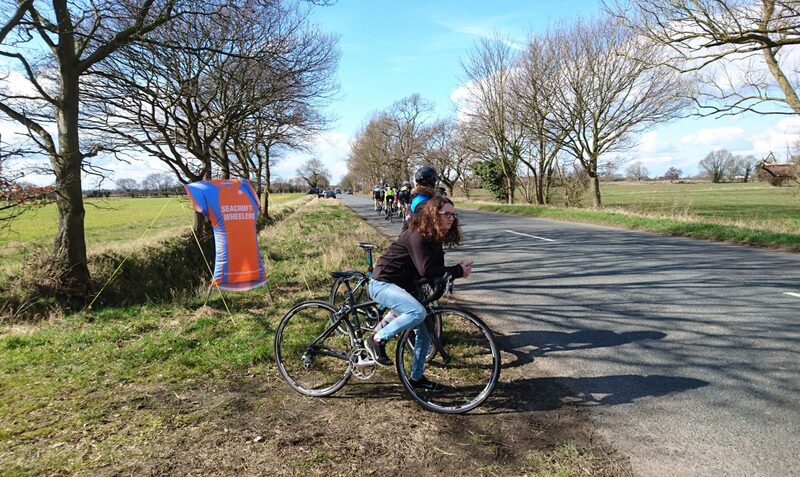 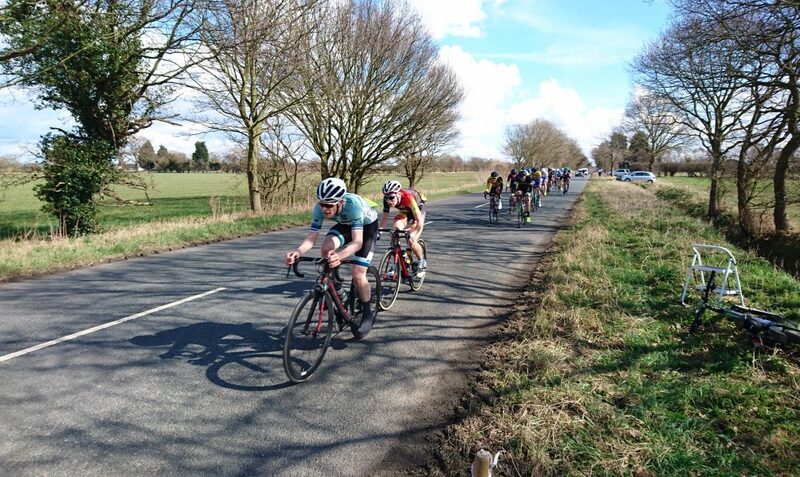 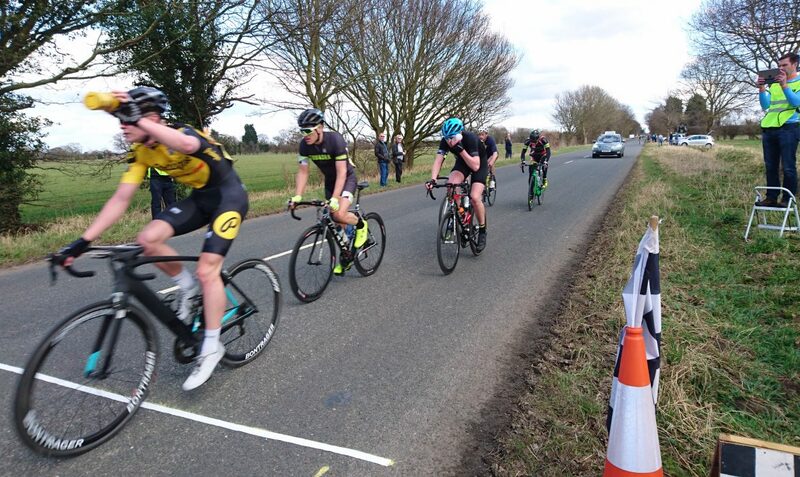 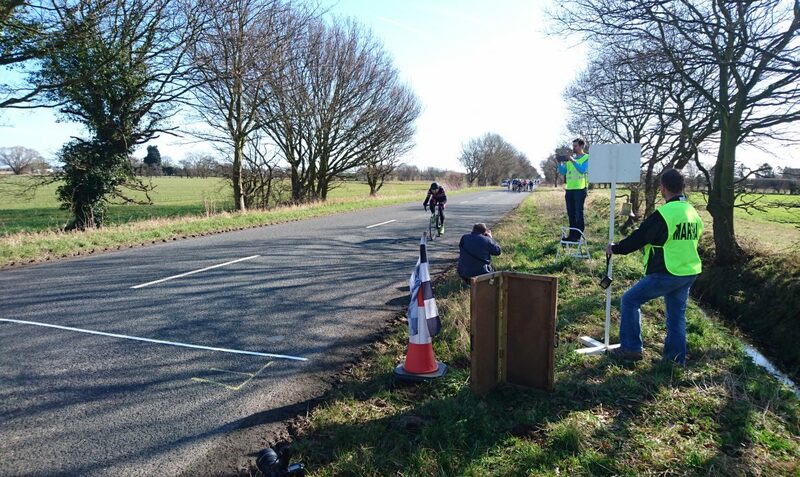 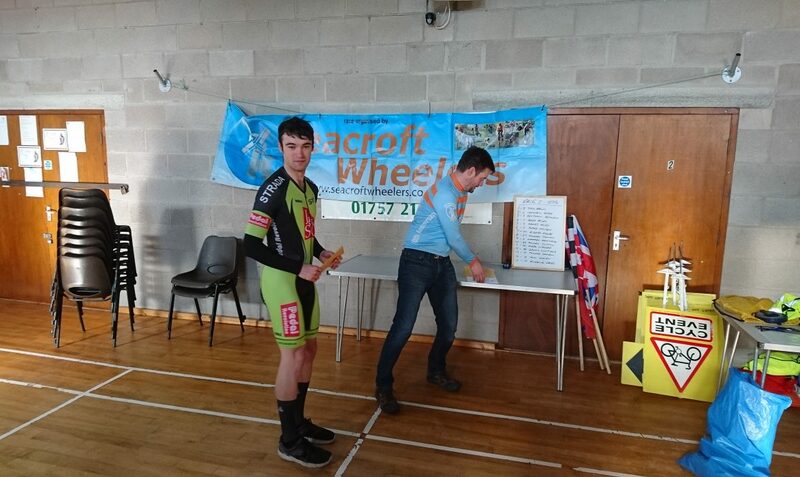 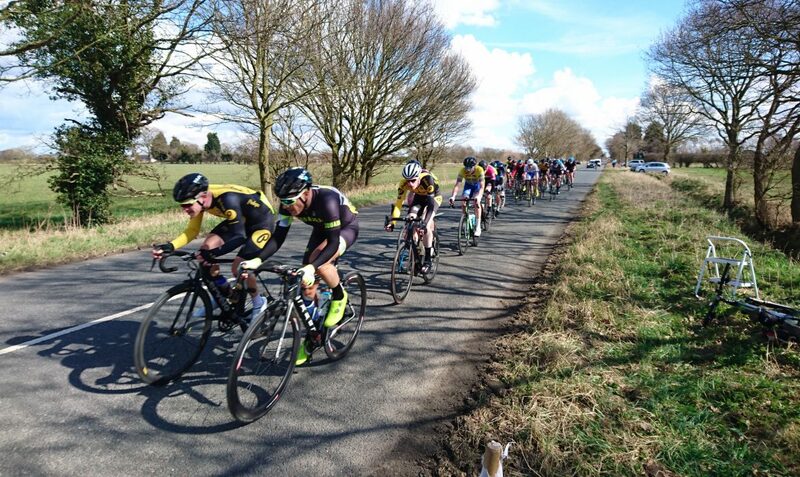 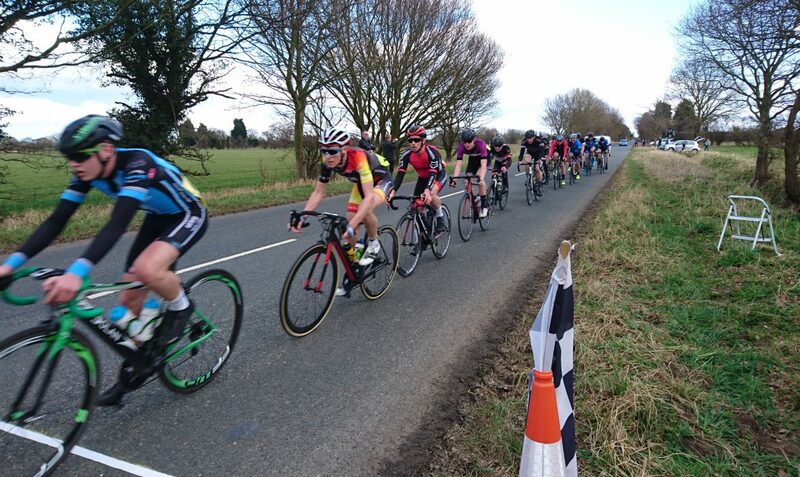 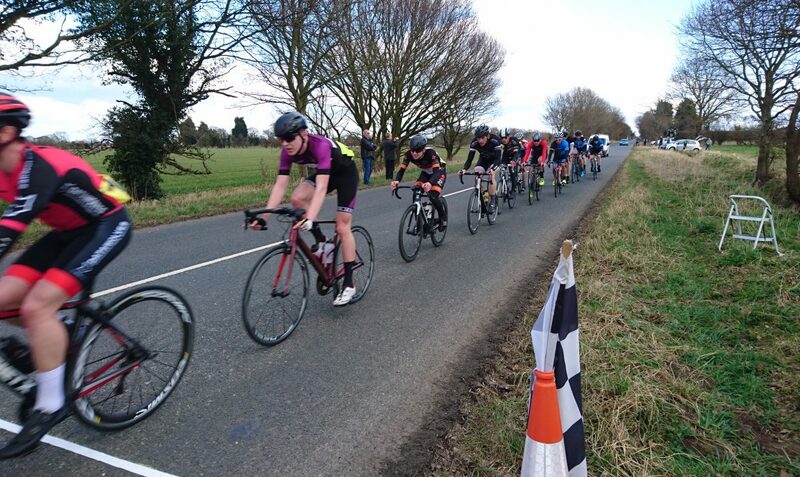 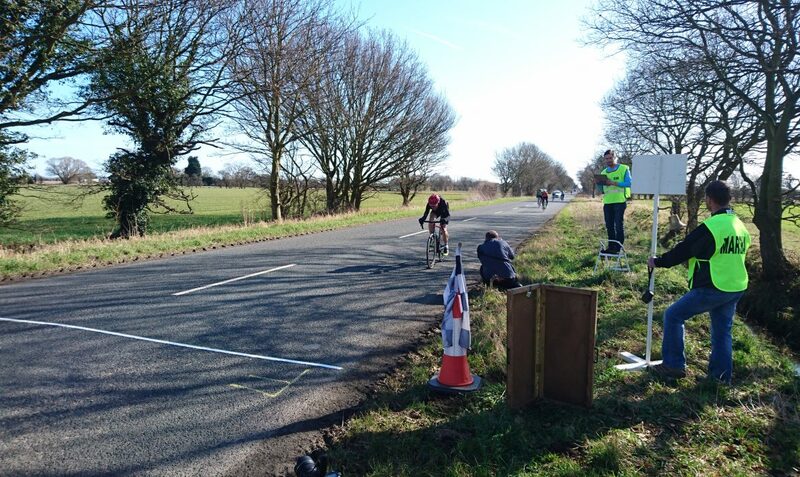 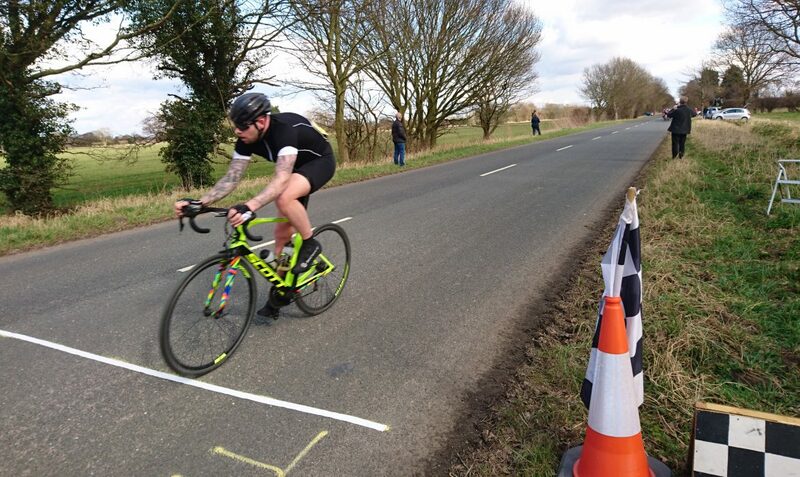 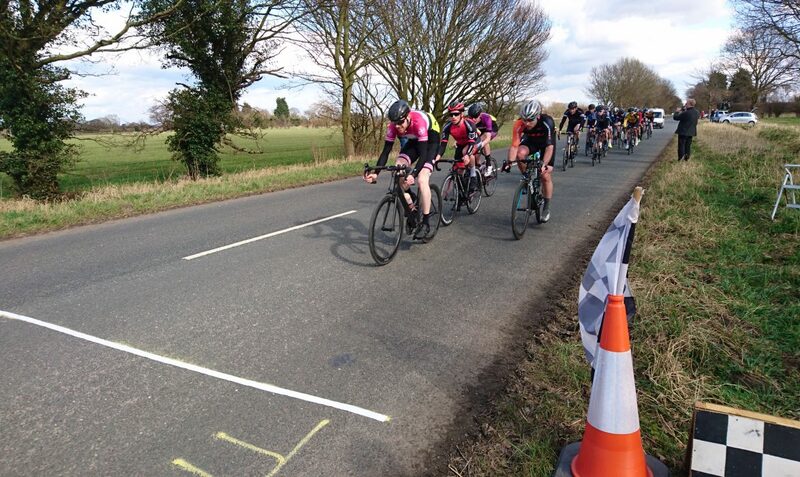 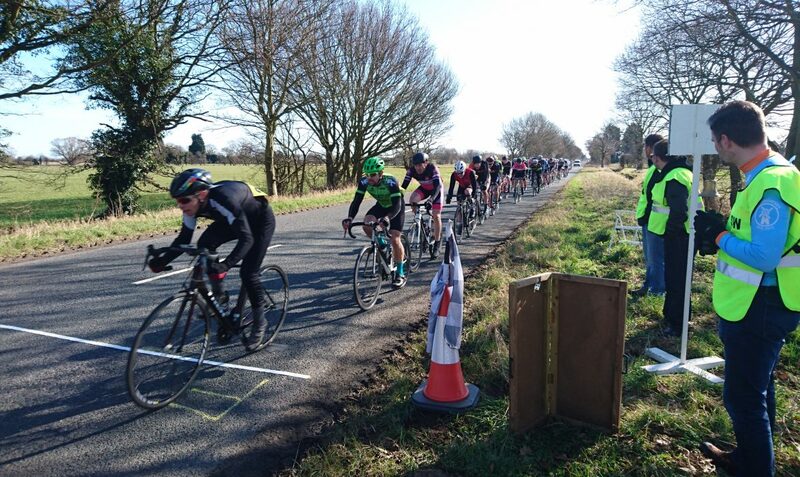 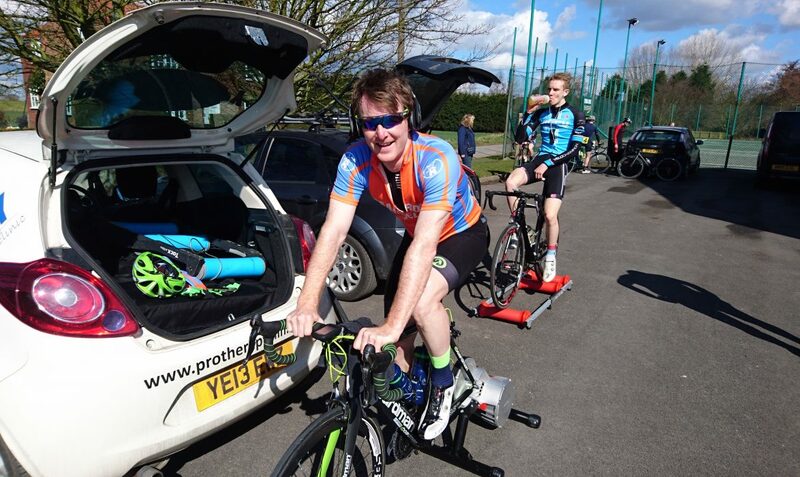 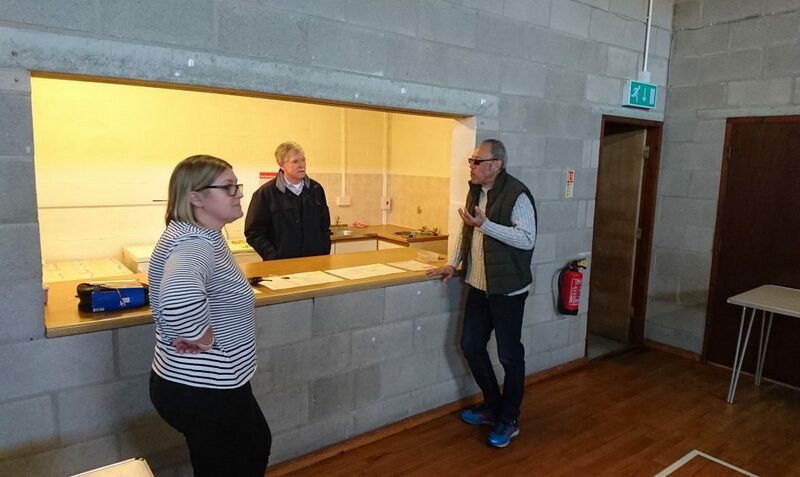 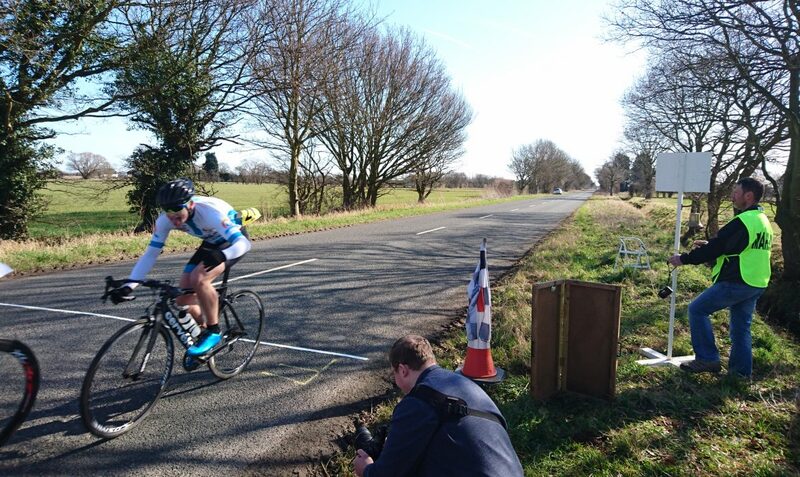 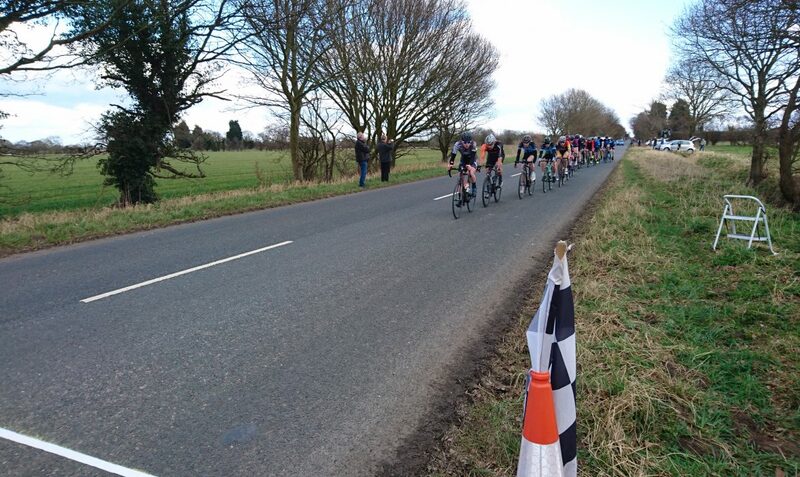 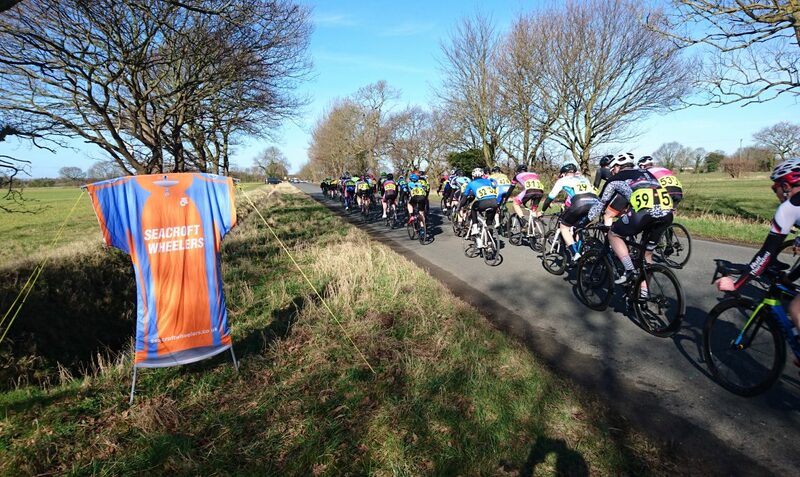 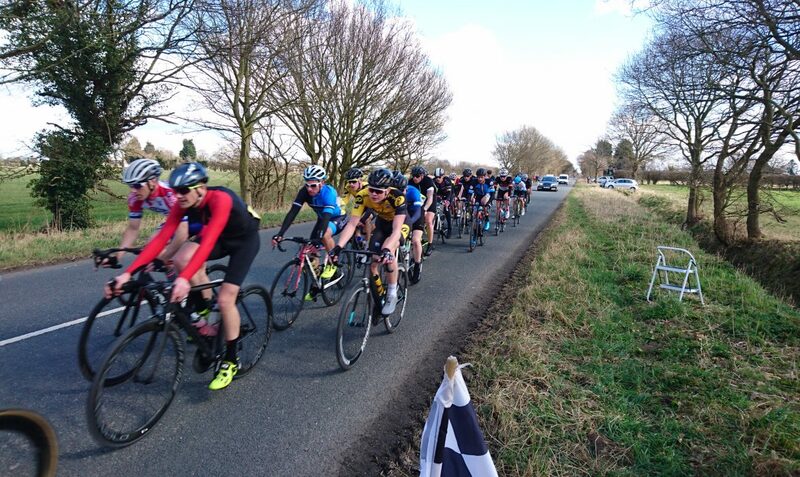 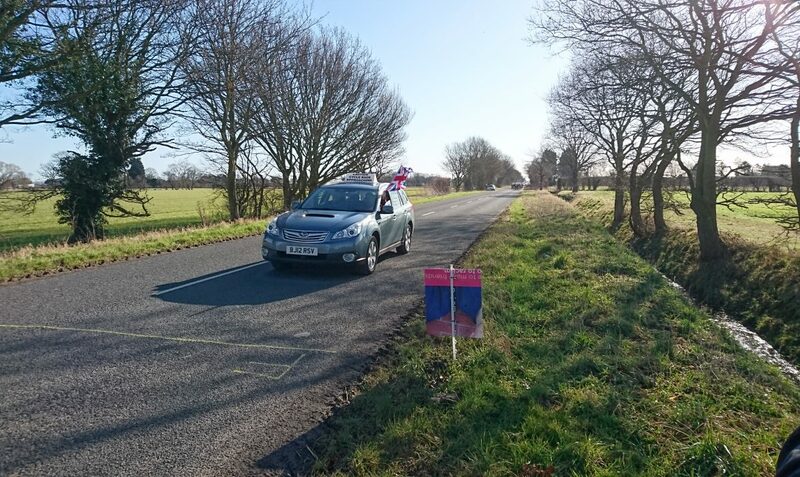 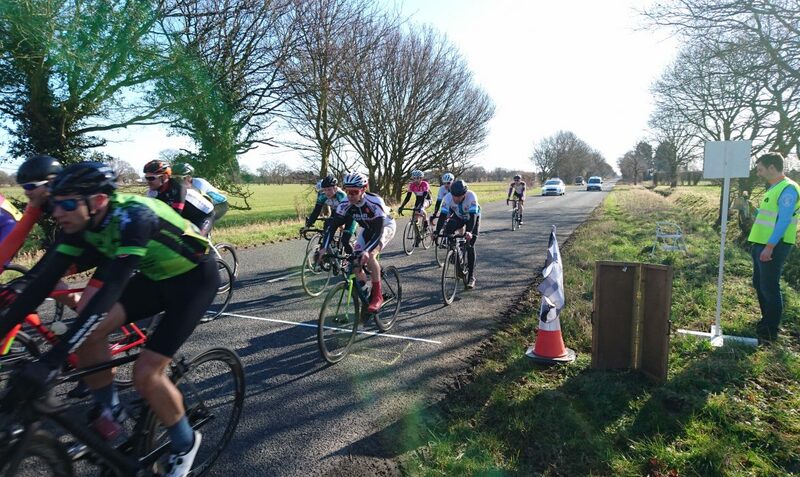 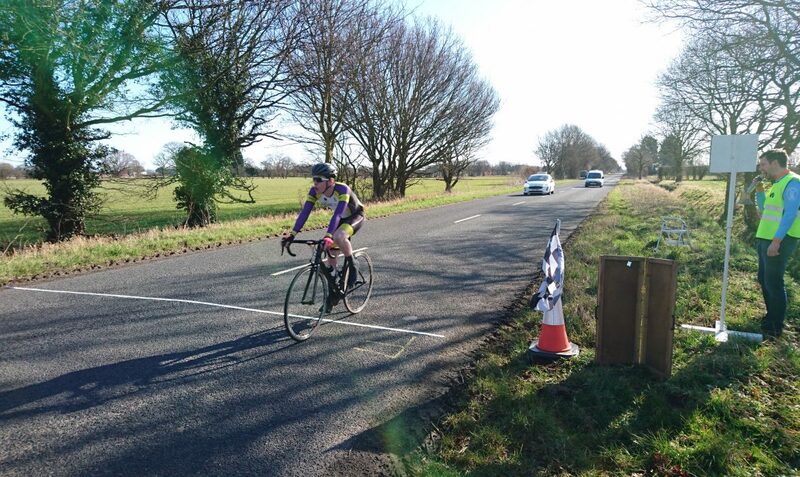 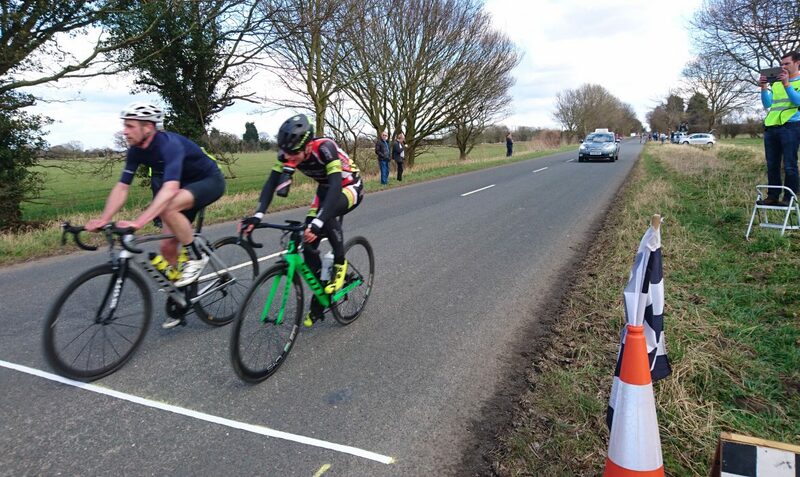 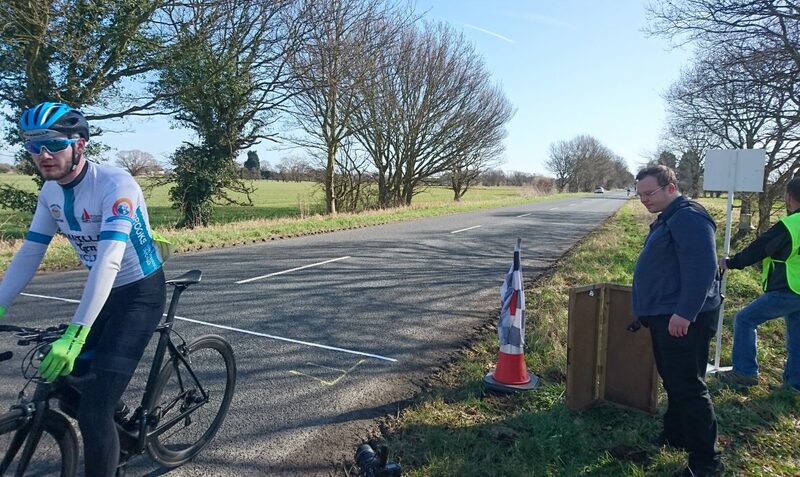 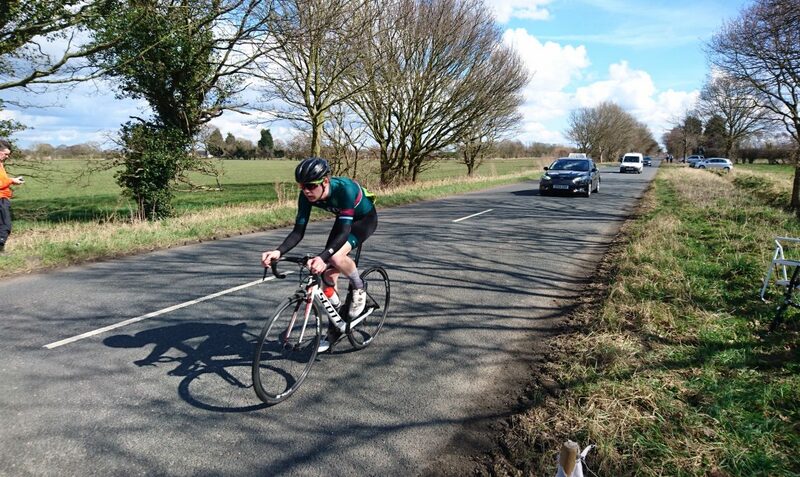 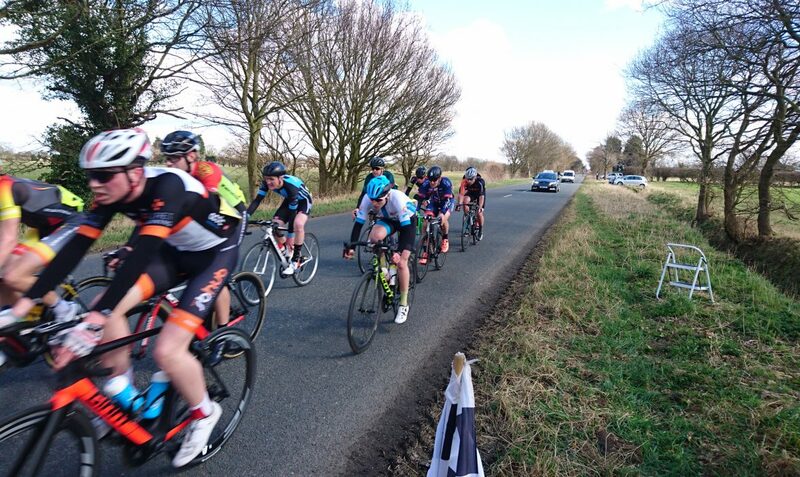 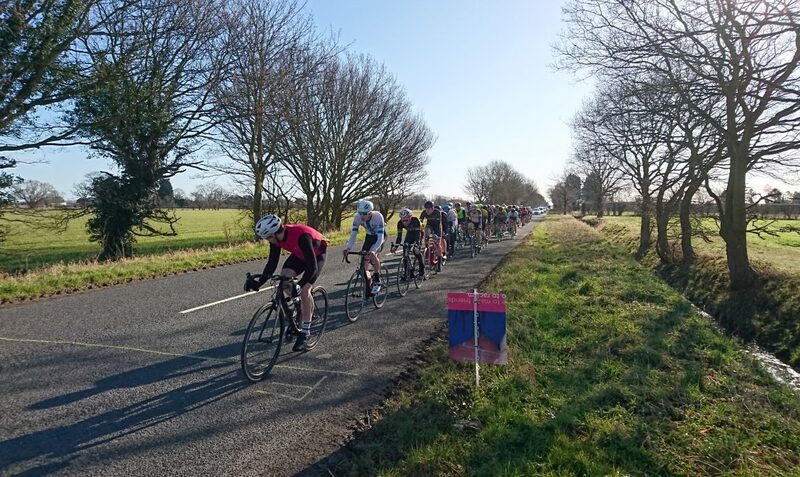 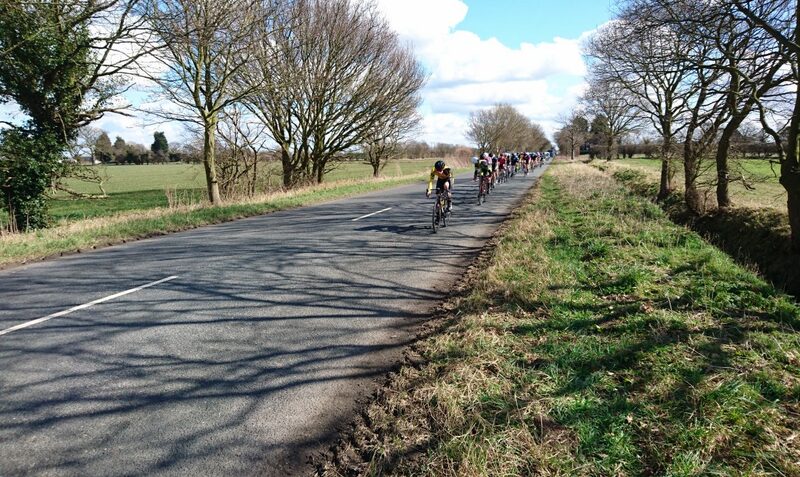 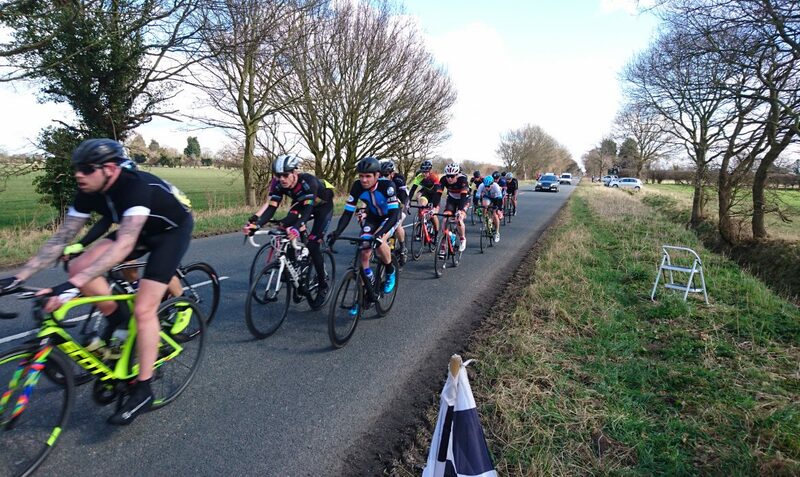 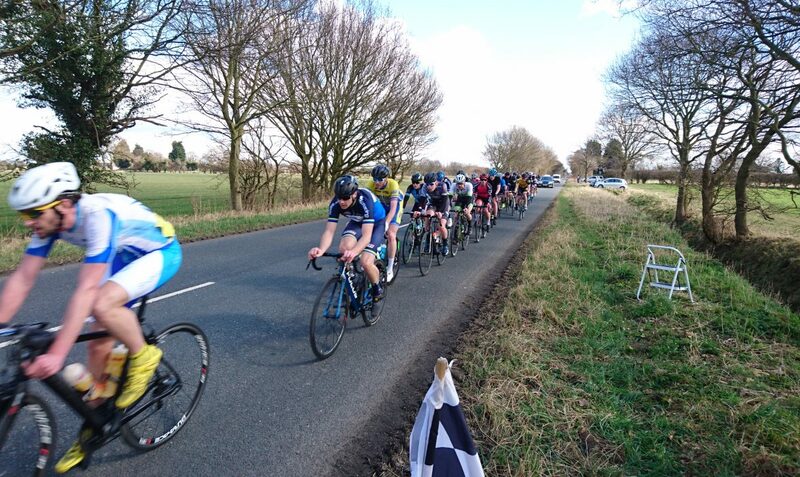 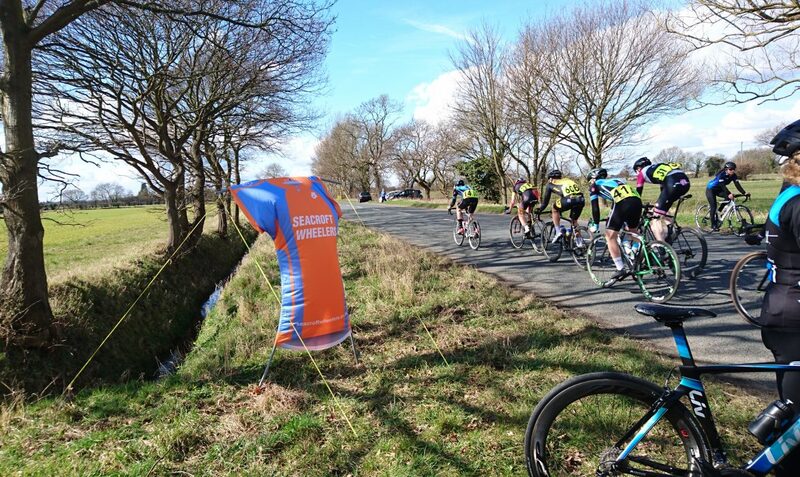 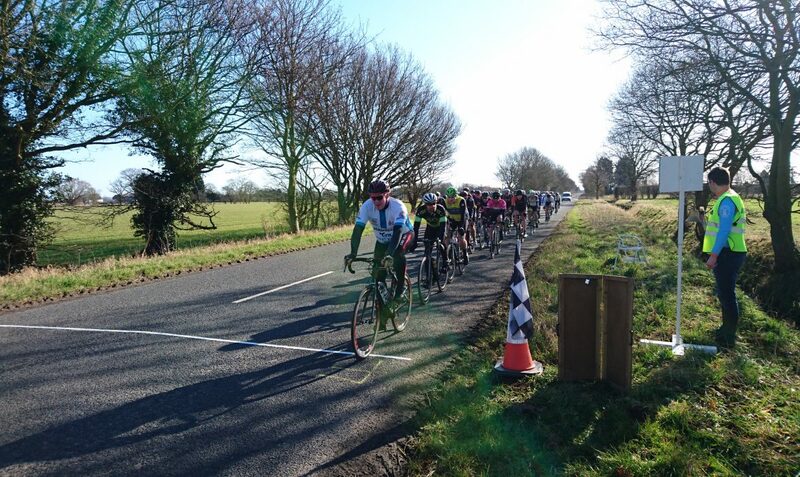 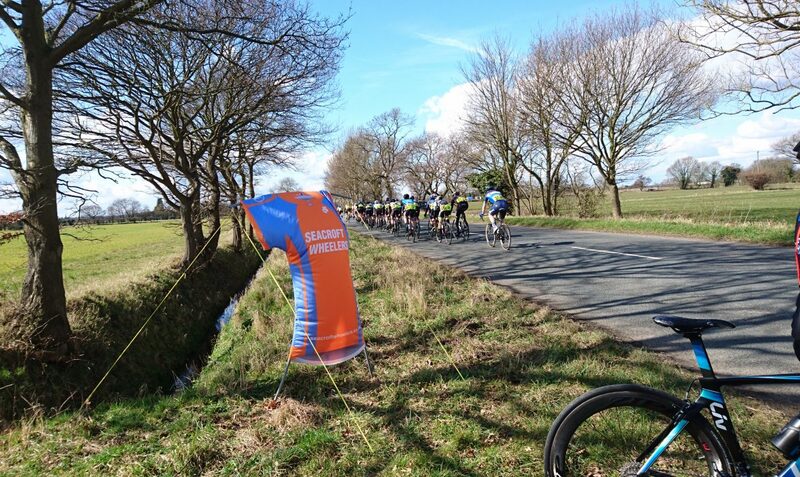 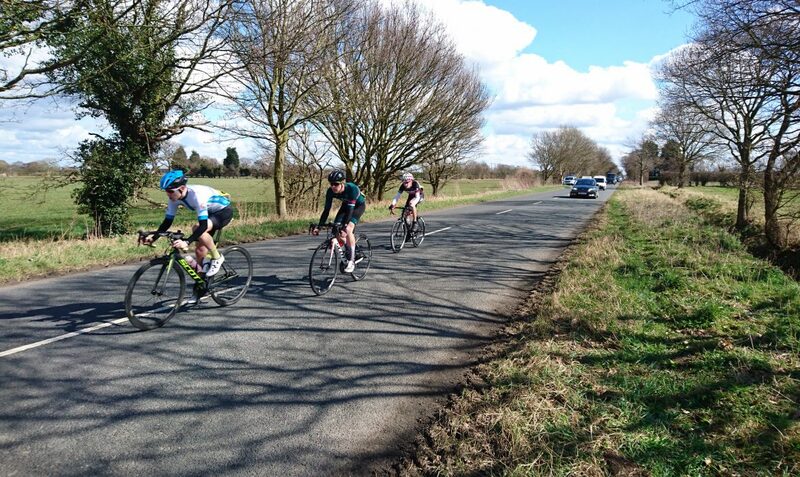 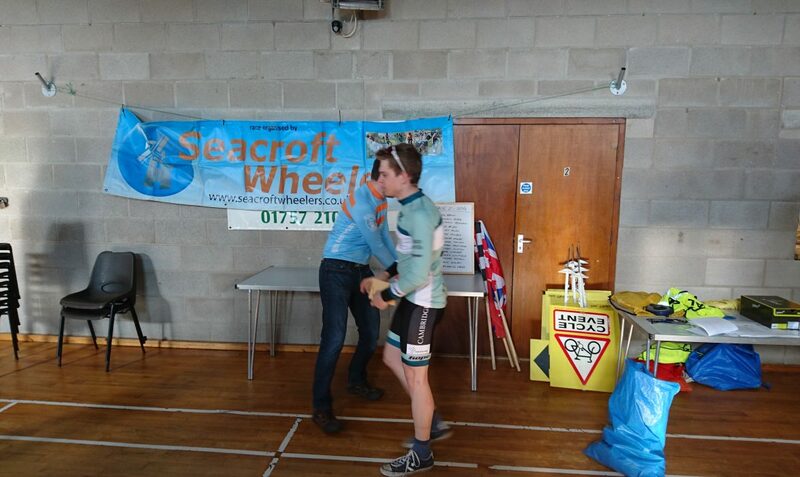 The 2018 Seacroft Wheelers Road Races took place on the 25th March at the Bishop Wood circuit, near Cawood. 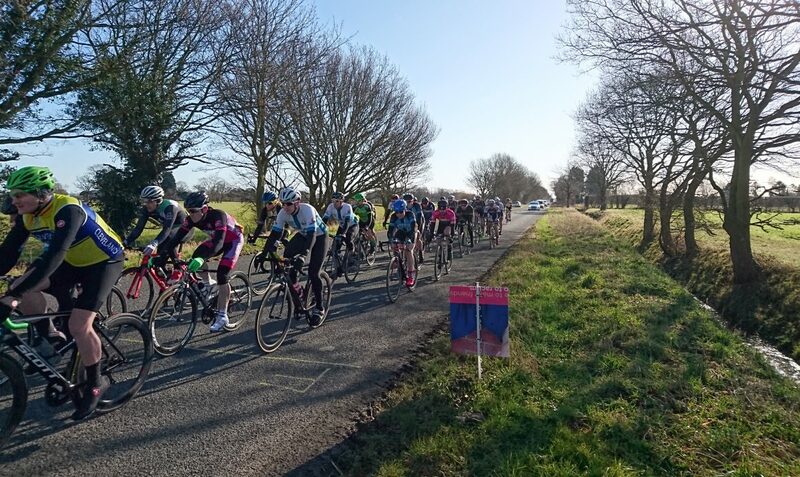 The Cat 3/4 morning race had a full field of 60 riders covering the 38 miles (7 laps) with the Cat 2/3/4 afternoon race with 57 riders taking on the 59 mile (11 laps) circuit. 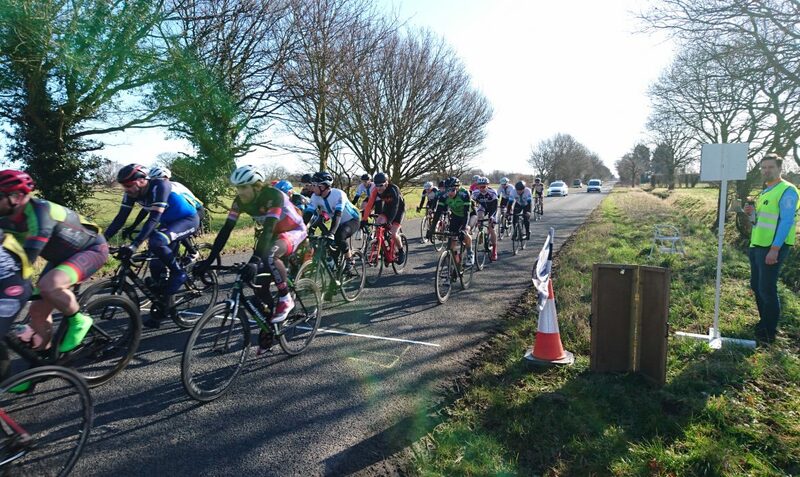 Perfect, sunny, spring conditions saw some fierce racing with the morning race coming down to a bike throw for the line between Joseph Faichney (Squadra RT) and Kyle Bibby (Alba Rosa C.C.) 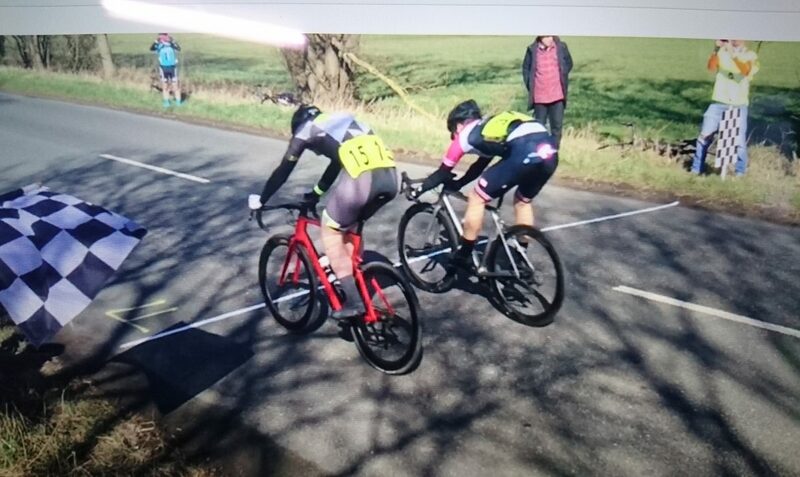 with the former edging it by a tyres width ! 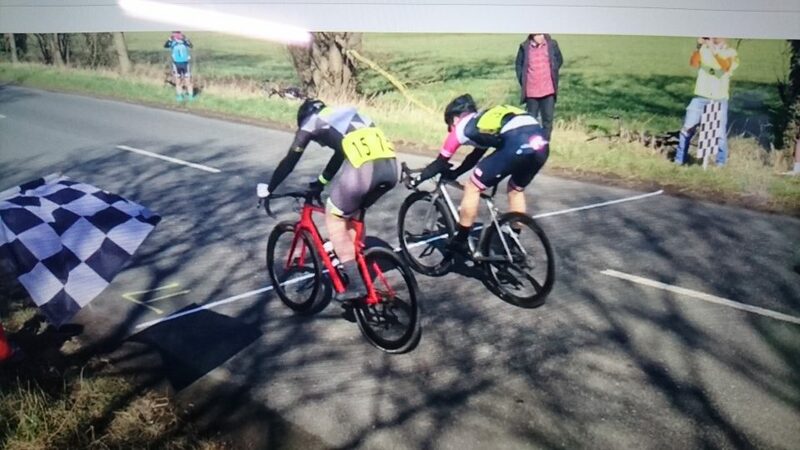 throw for the line ! 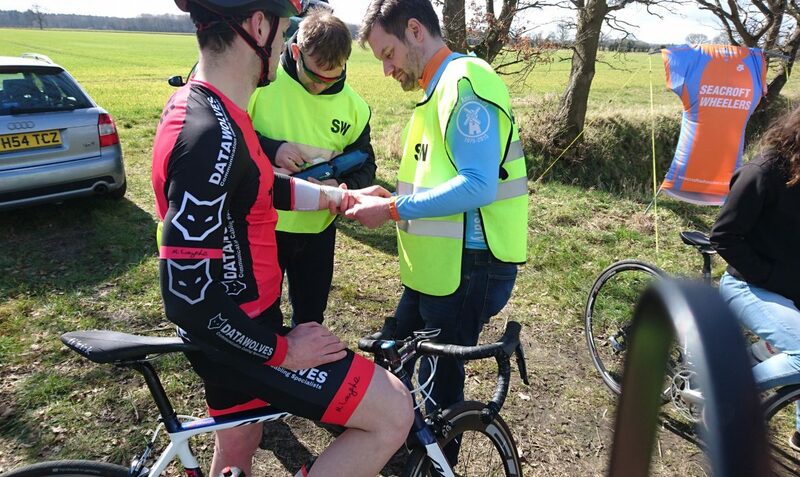 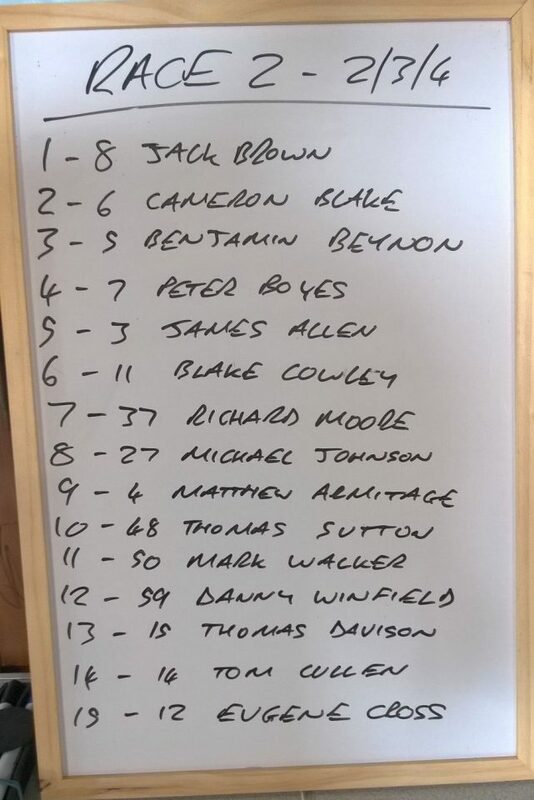 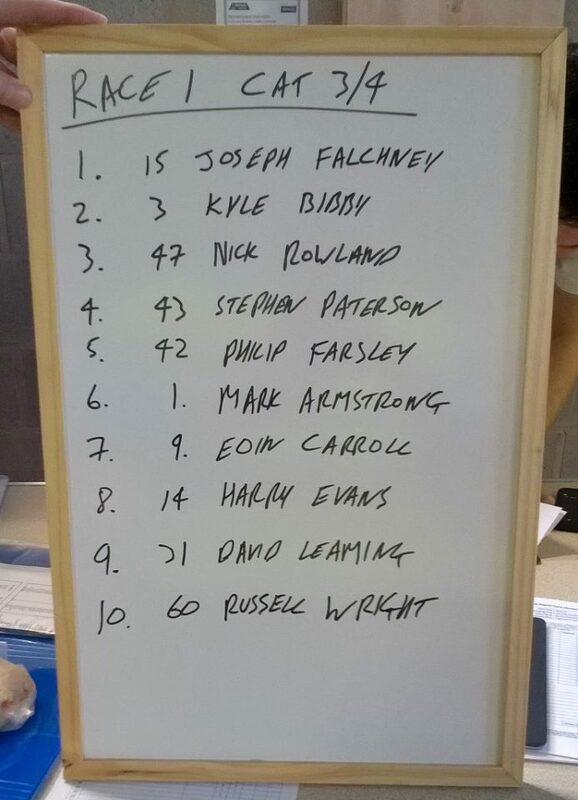 The event was well received and only one racing incident resulting in a trip to A & E (shoulder injury) and Jamie Ward (YH Training Scarborough RC) has been treated and hopefully back on the bike soon ! 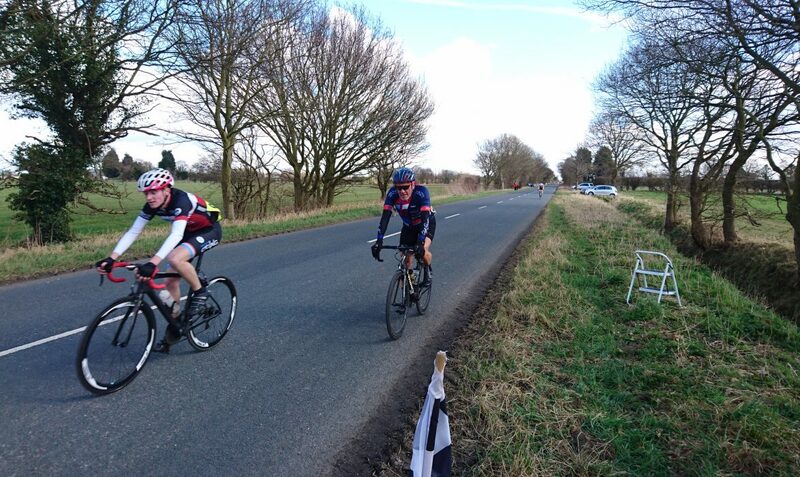 Some comments from the day….